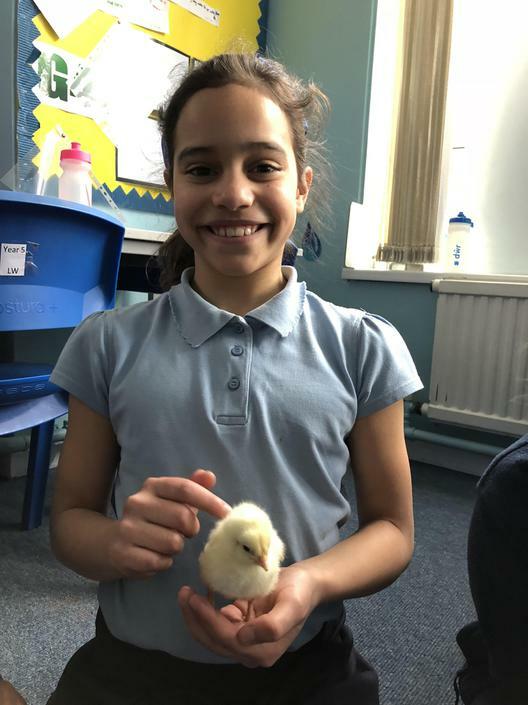 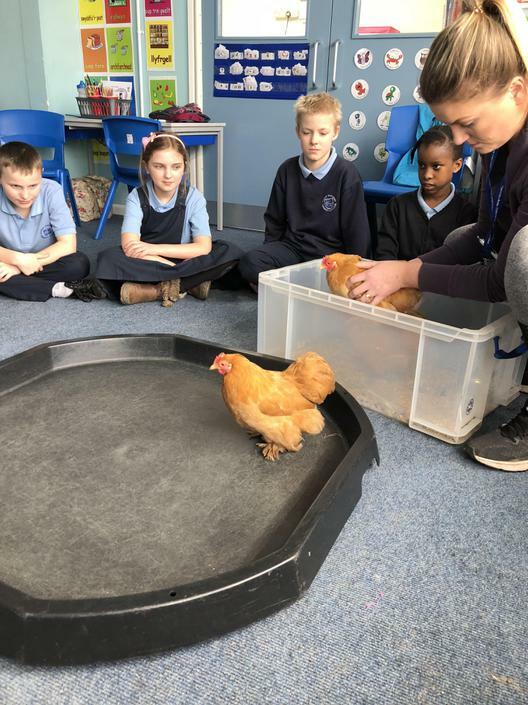 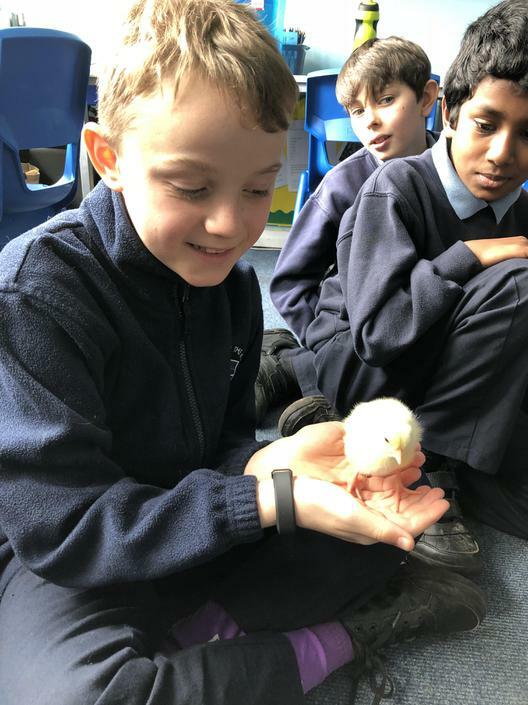 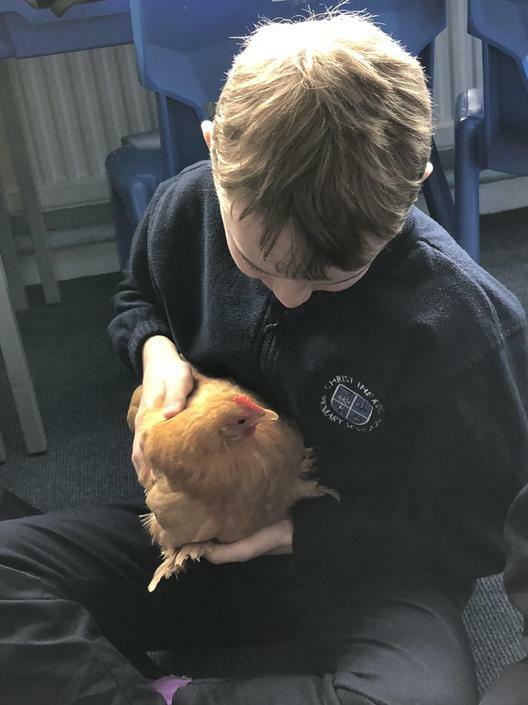 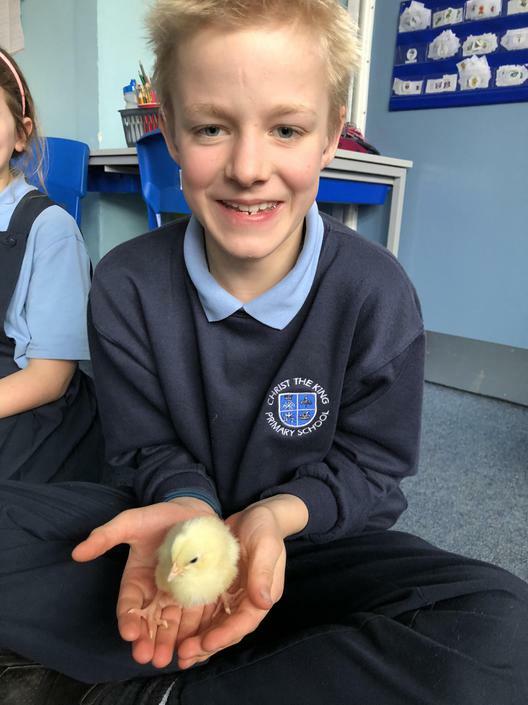 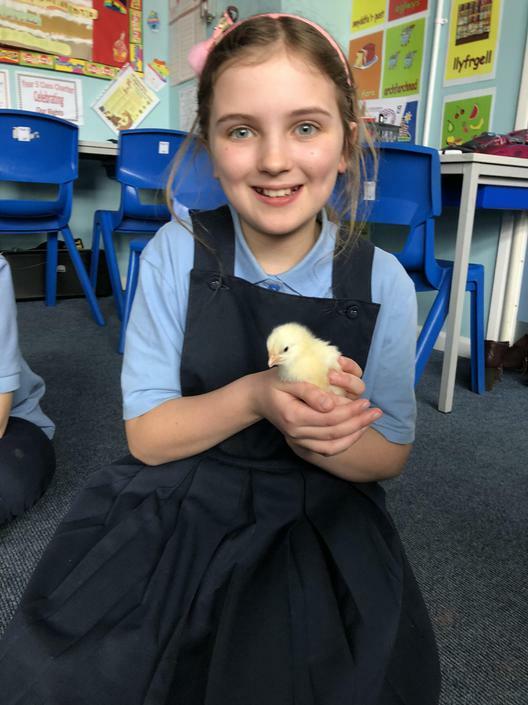 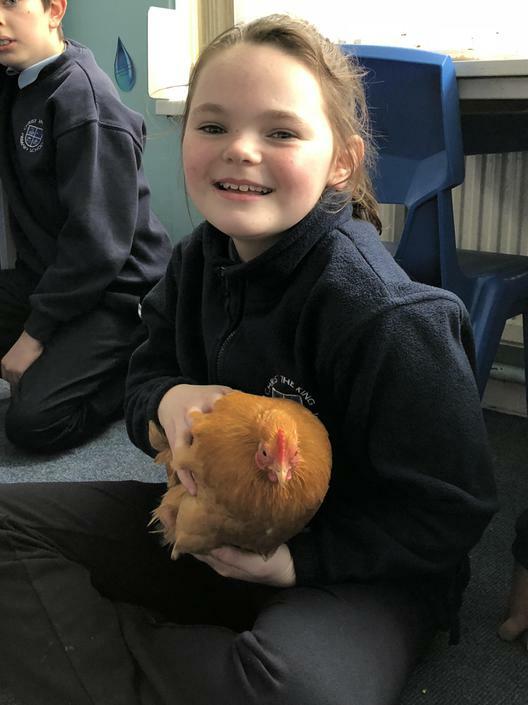 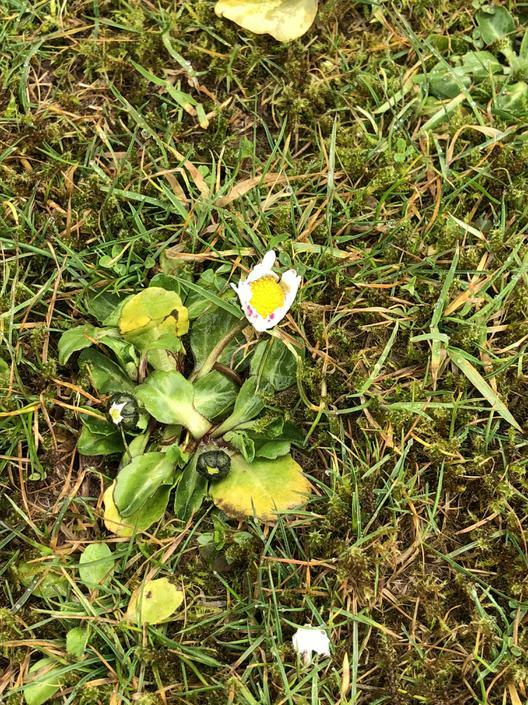 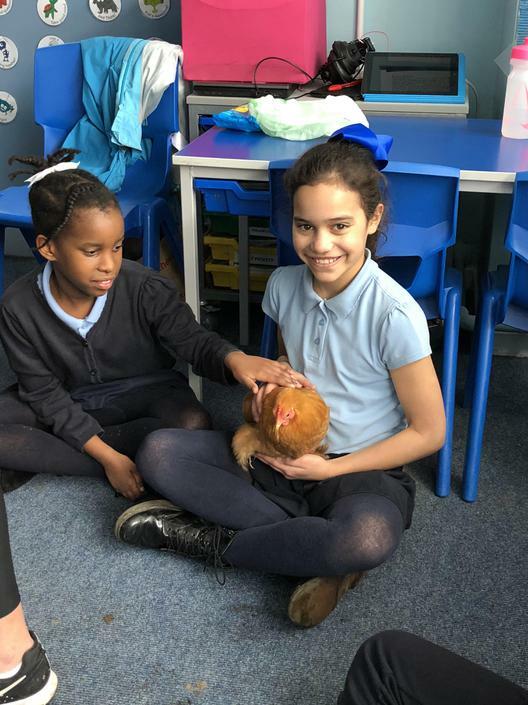 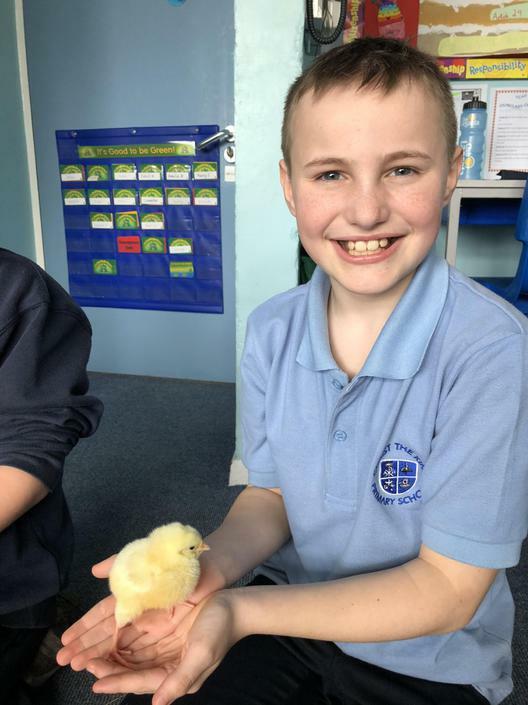 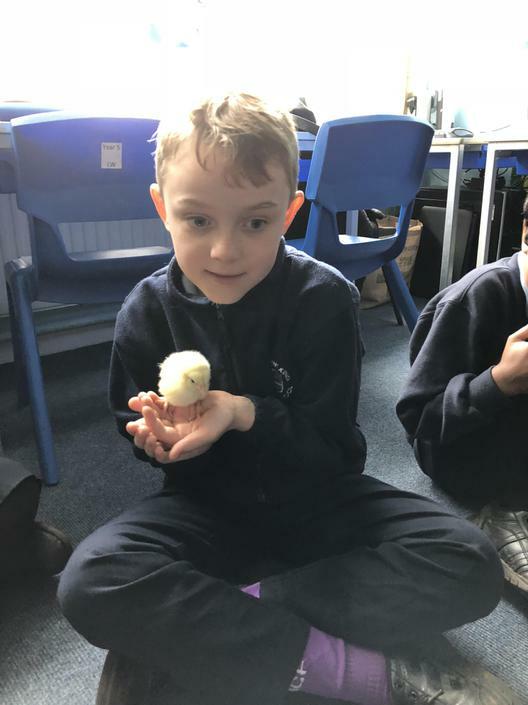 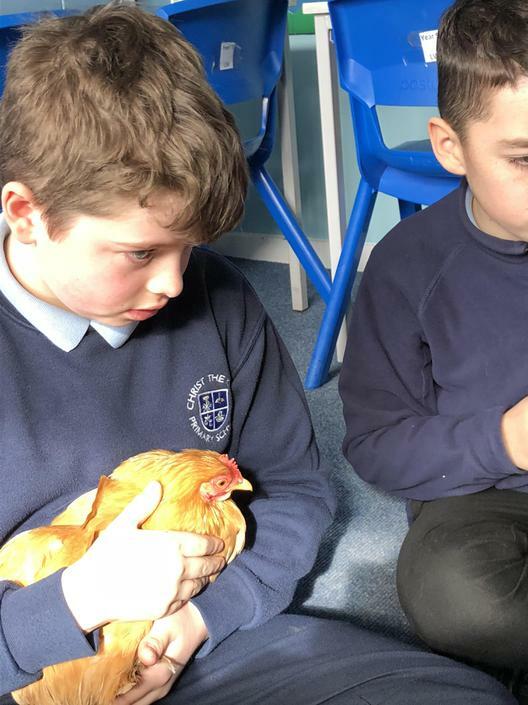 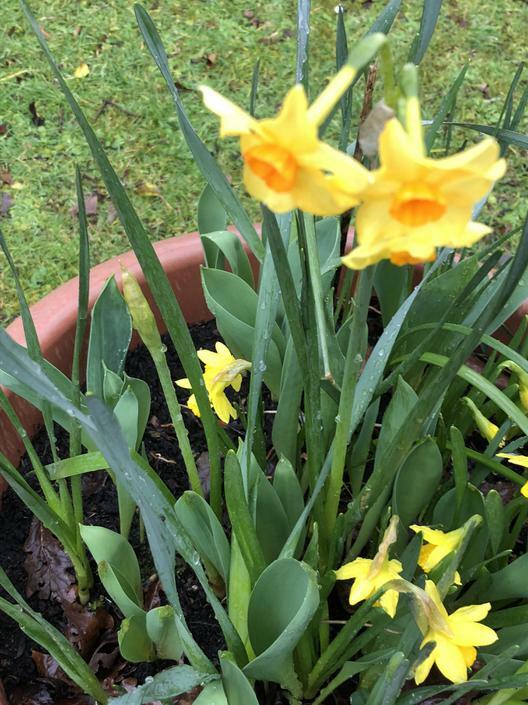 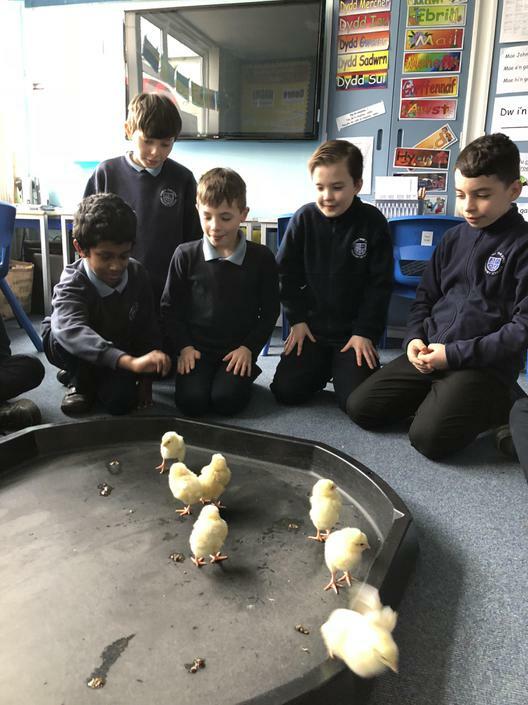 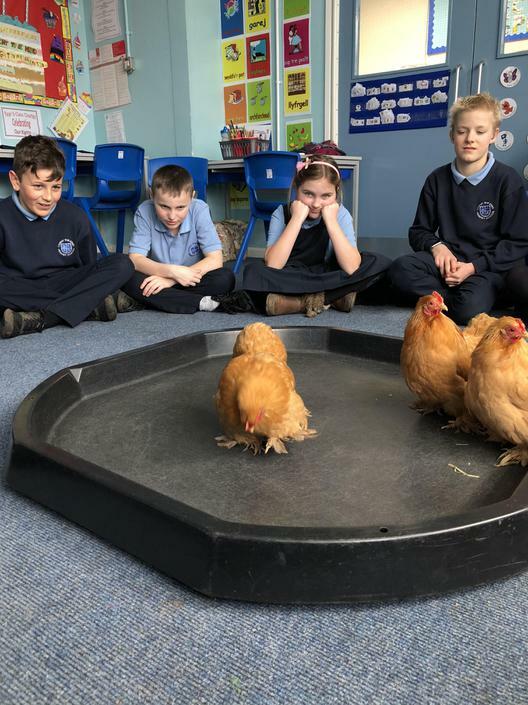 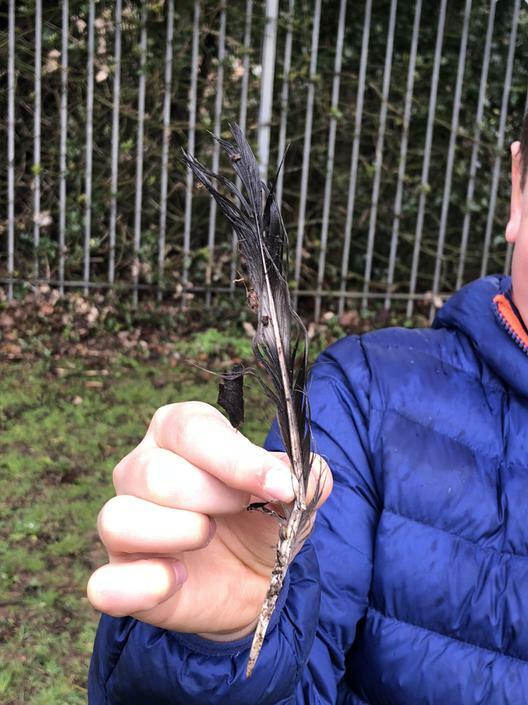 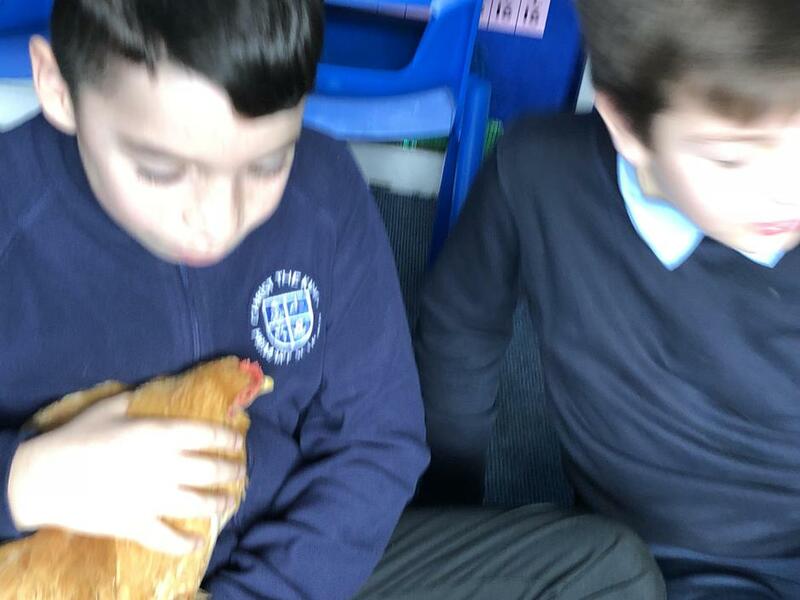 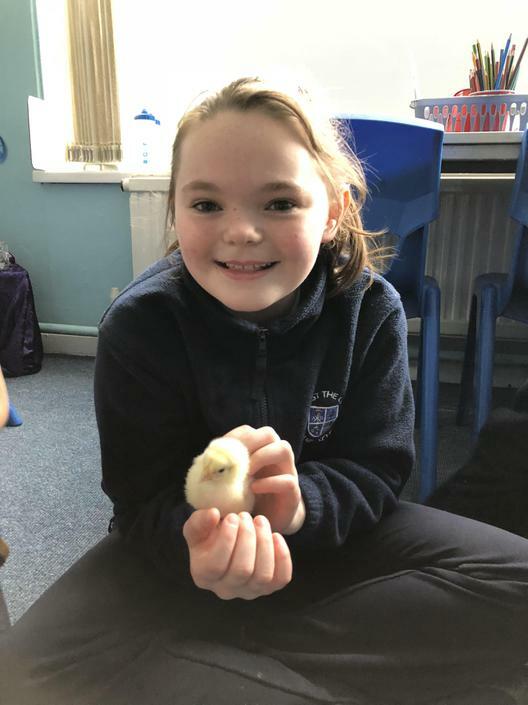 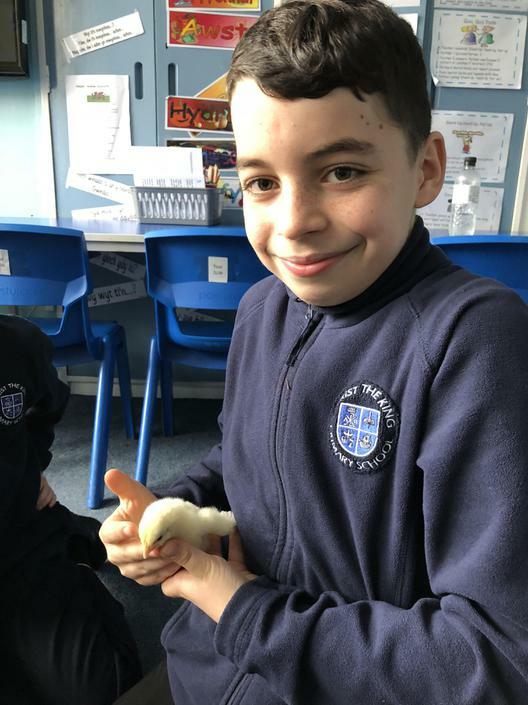 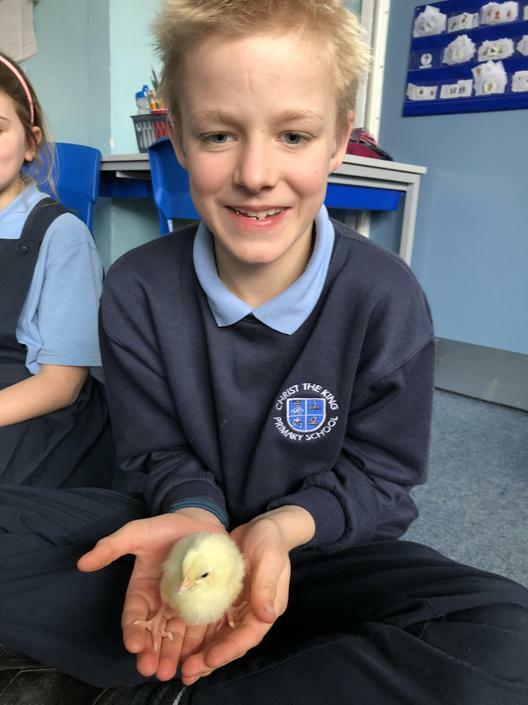 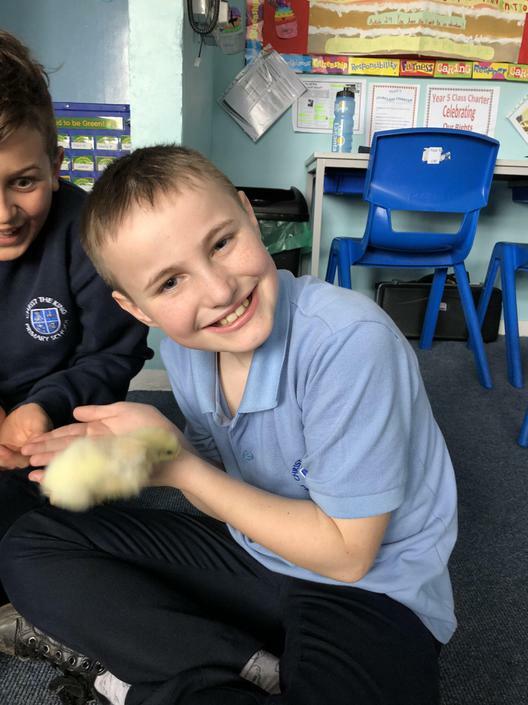 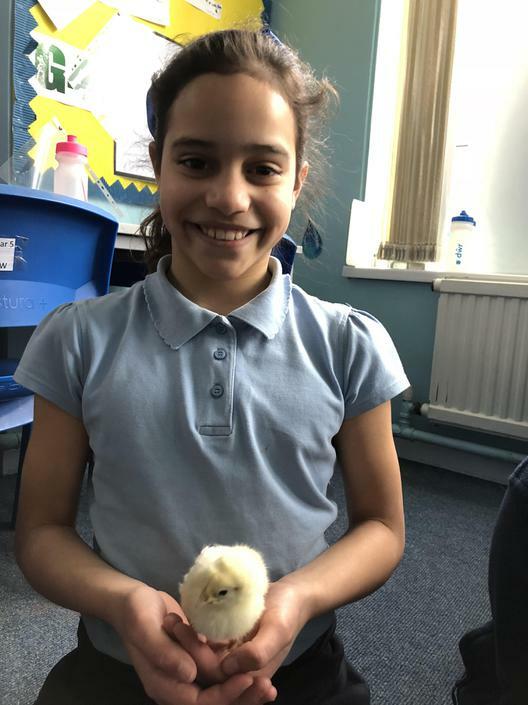 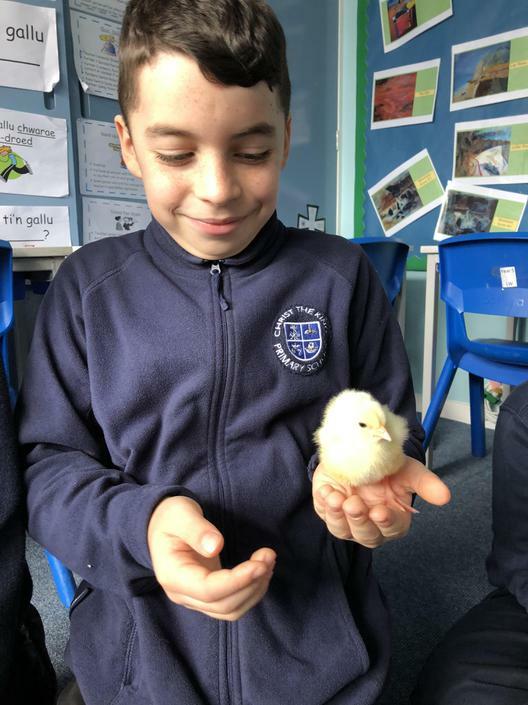 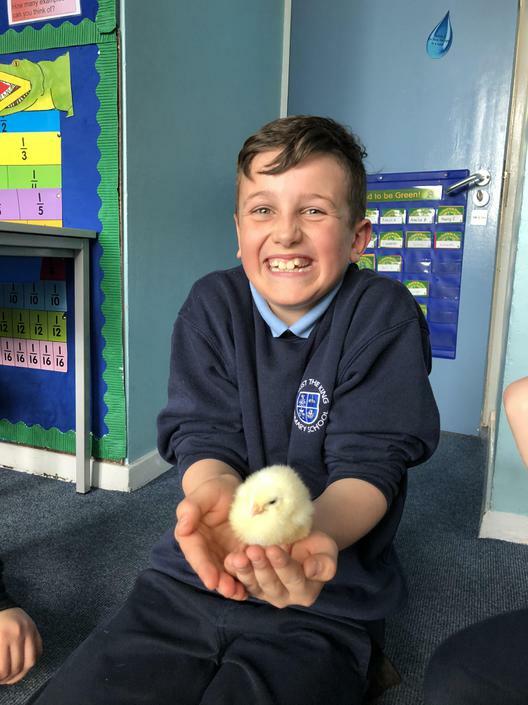 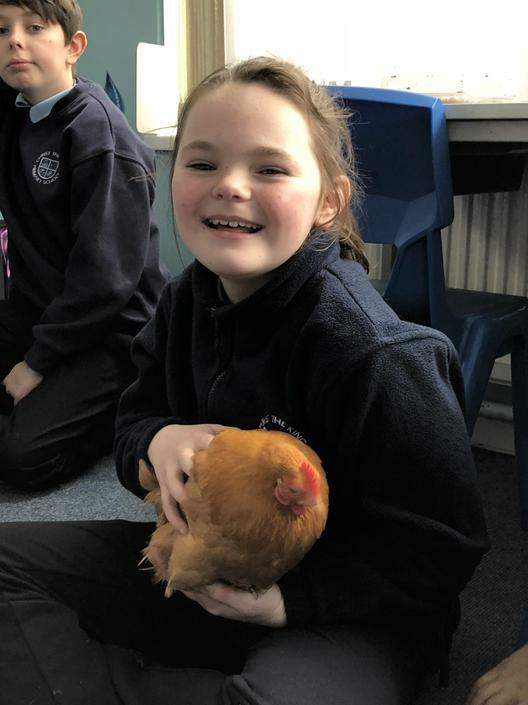 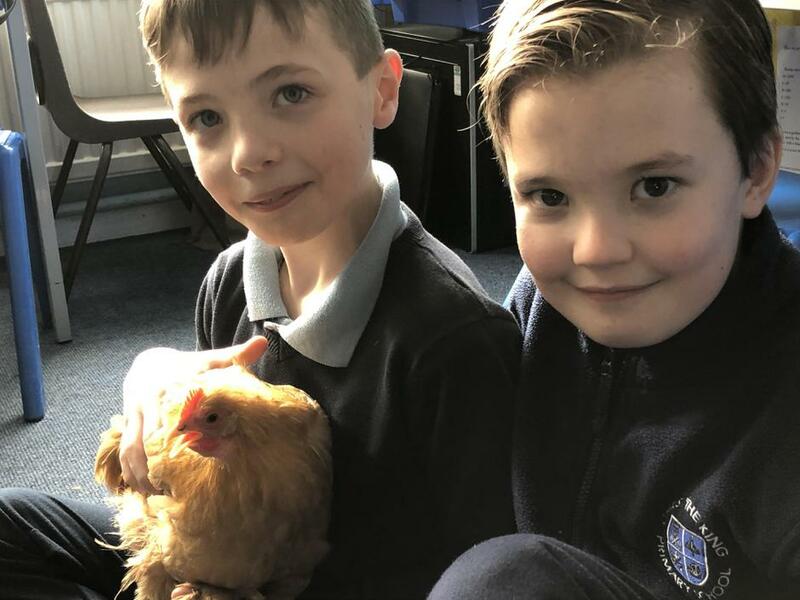 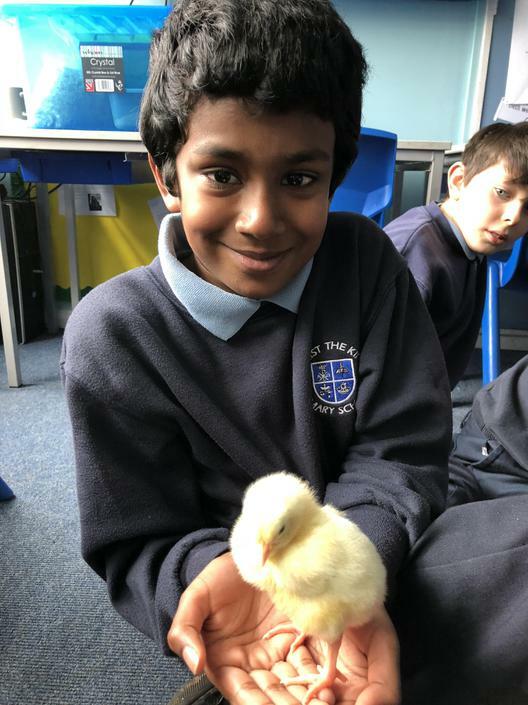 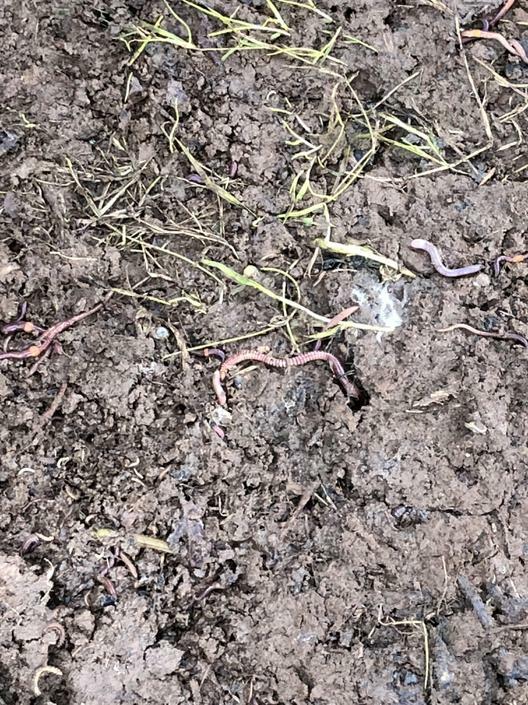 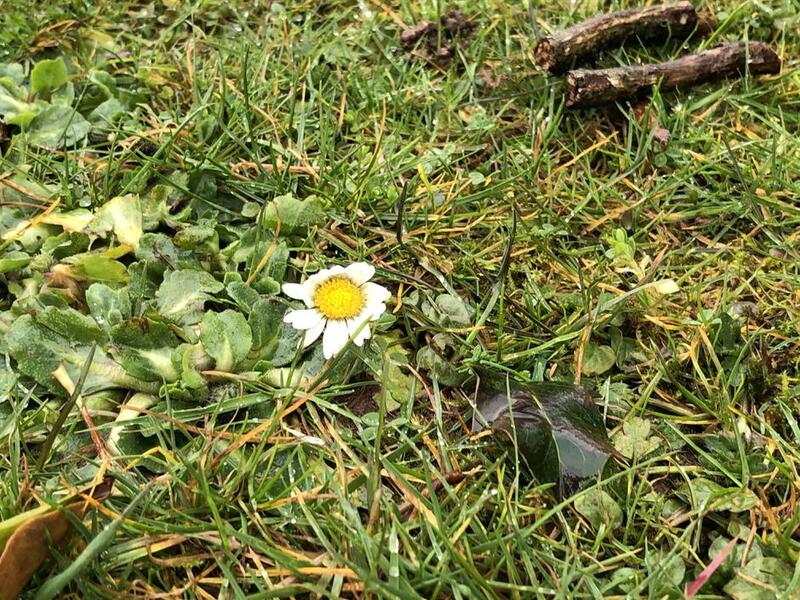 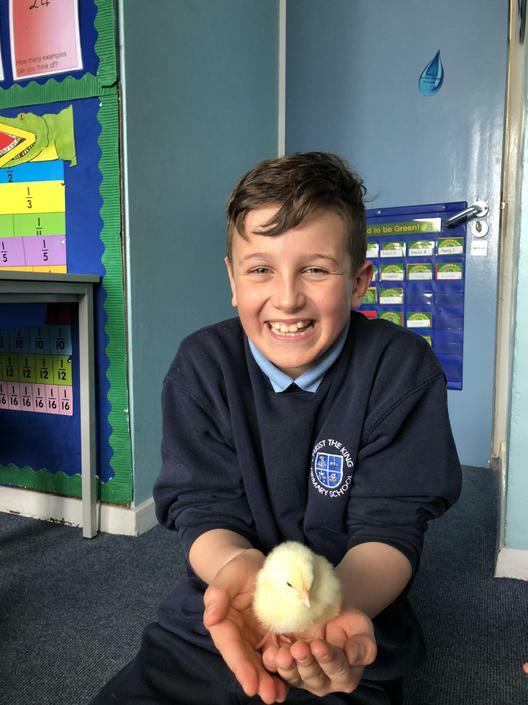 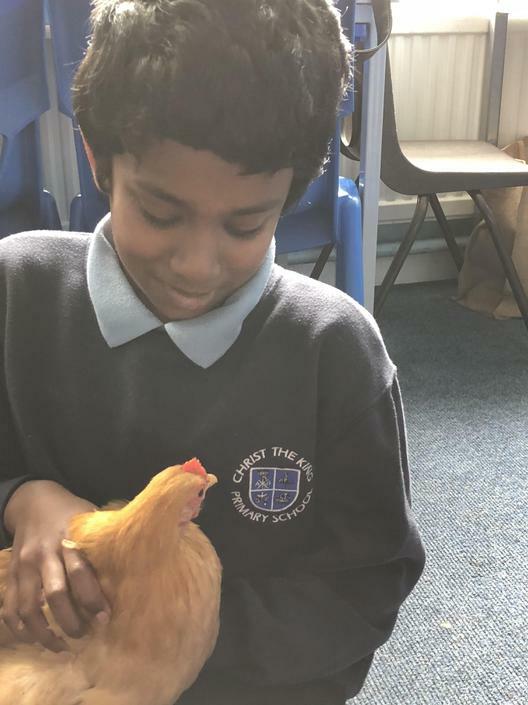 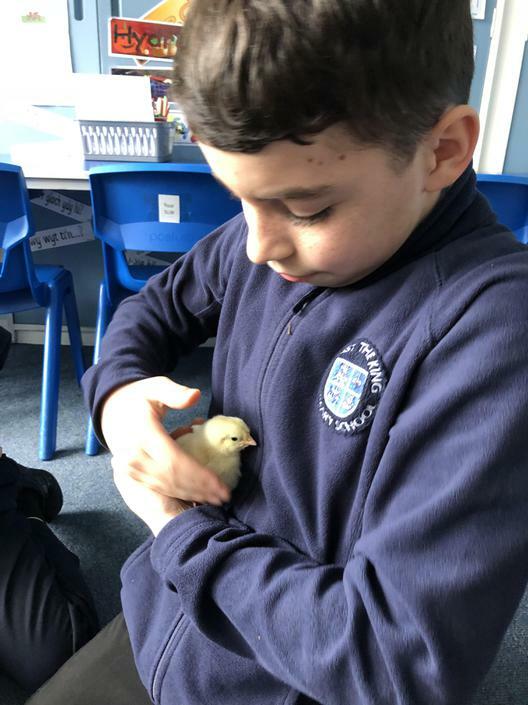 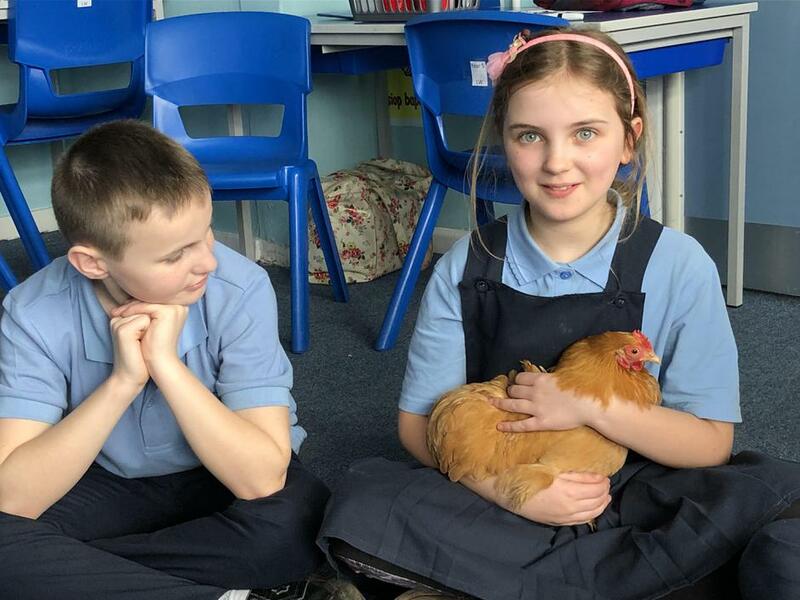 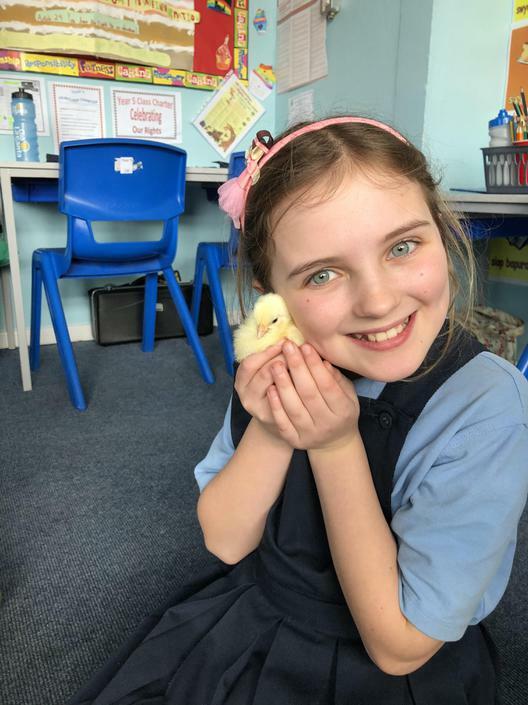 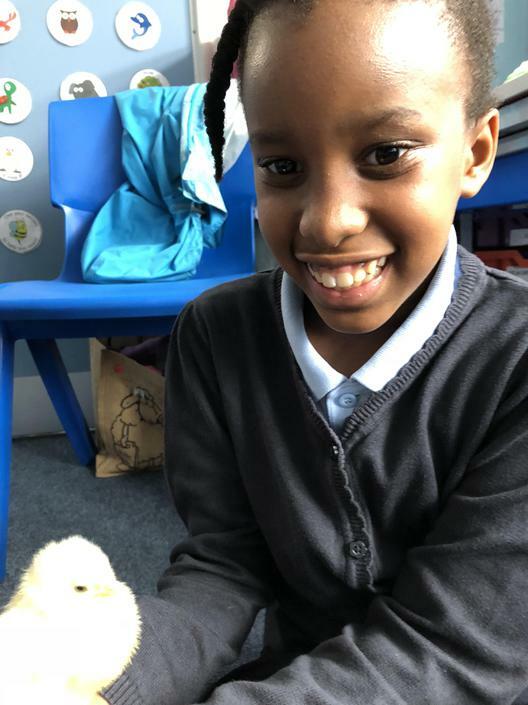 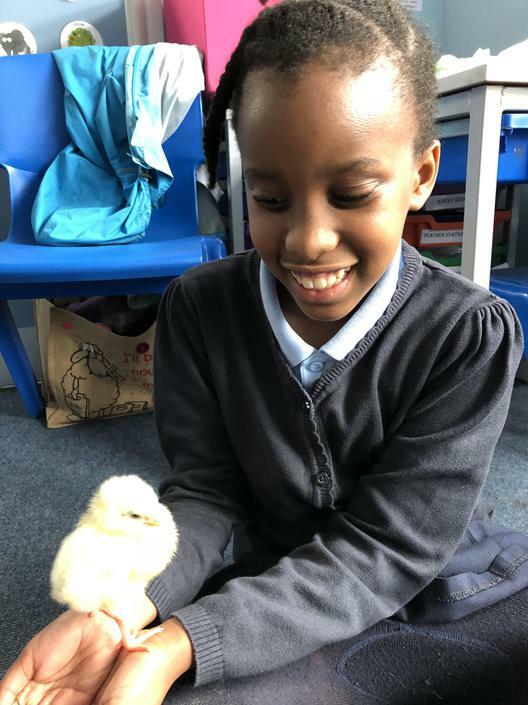 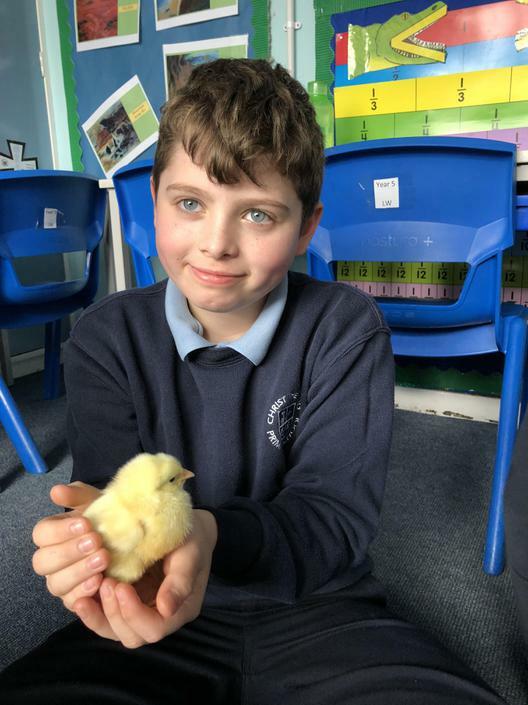 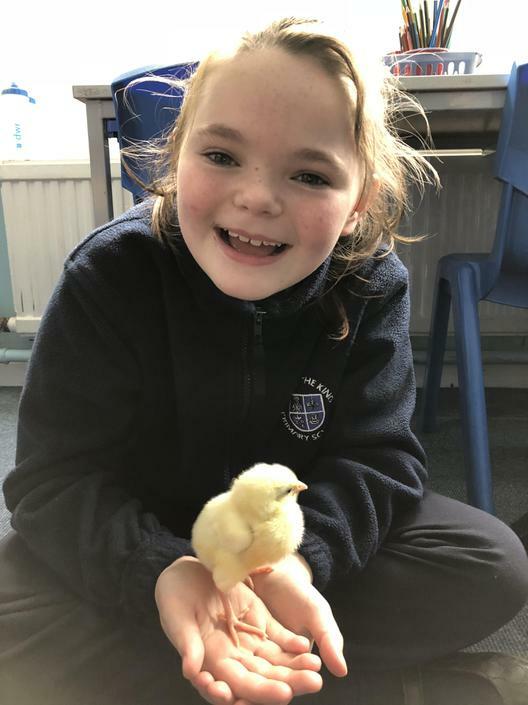 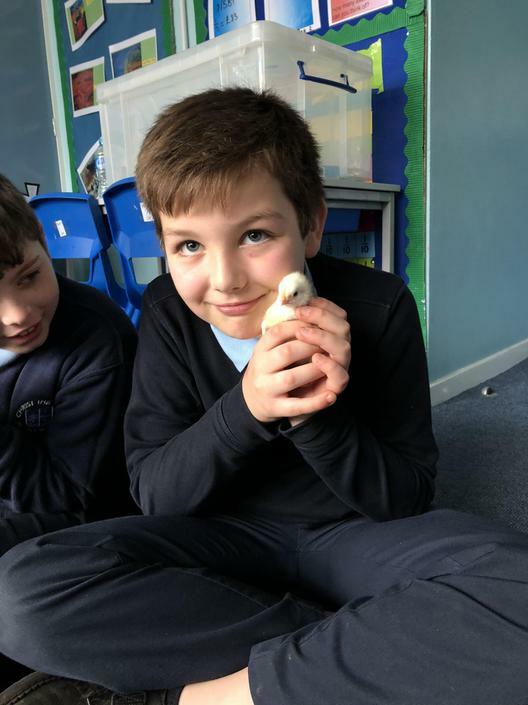 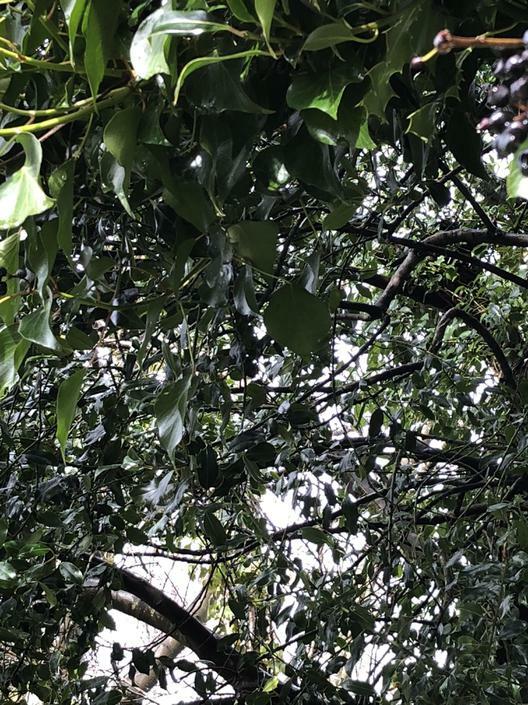 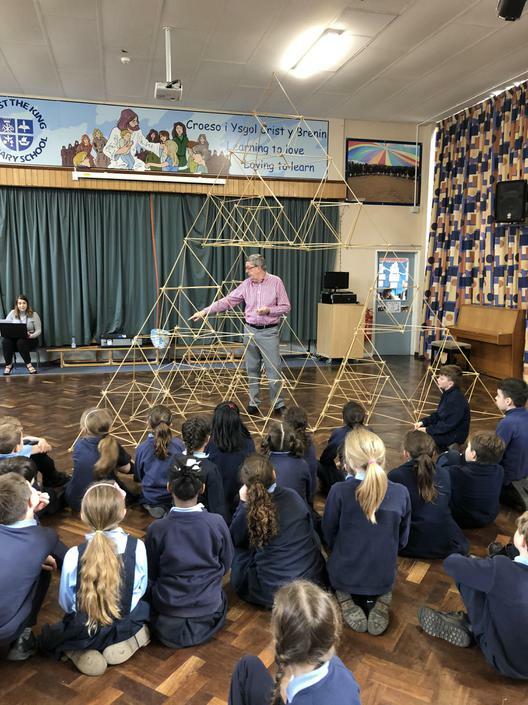 British Science Week 2018. 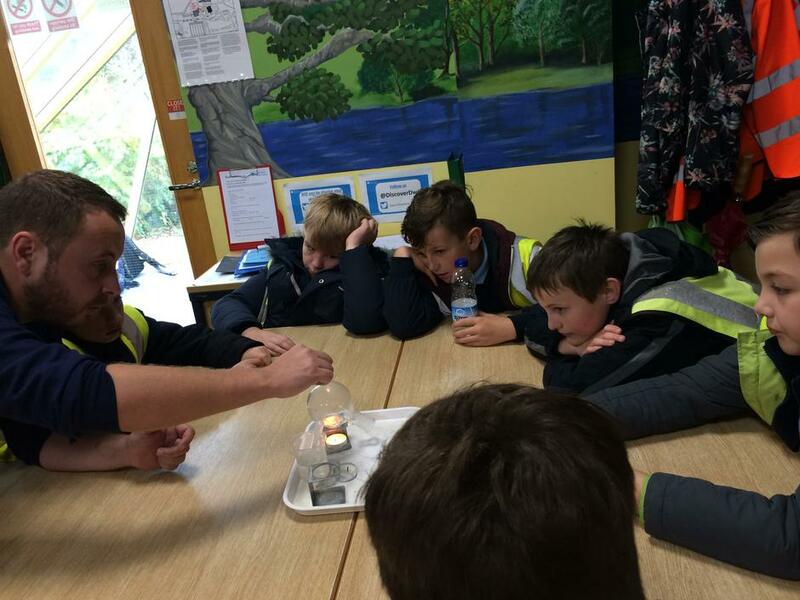 Workshop with Kelly the schools outreach officer from the RSPB. 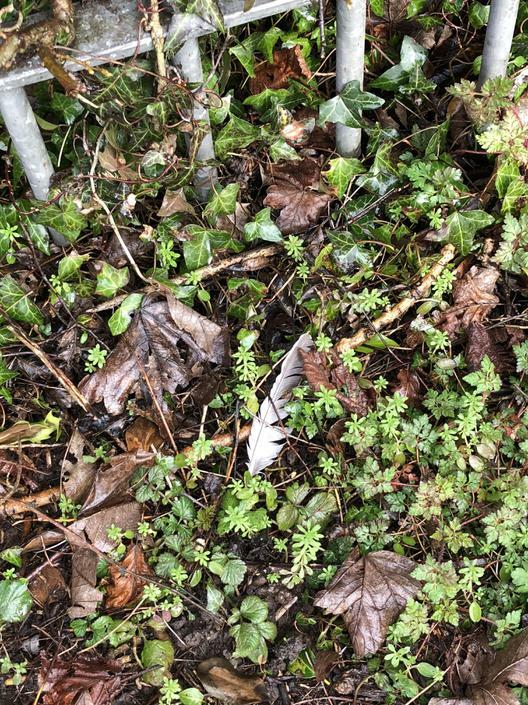 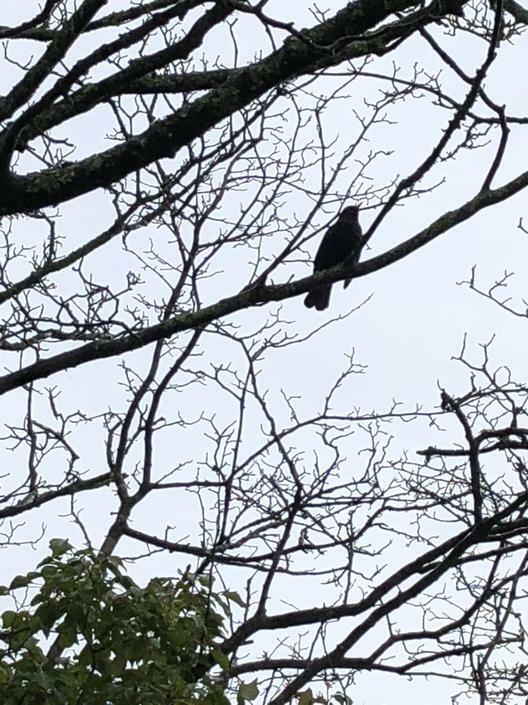 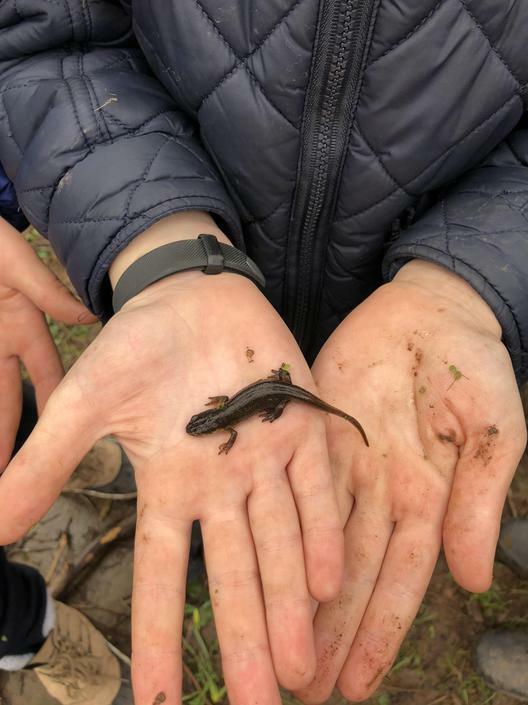 Bioblitz at CTK. 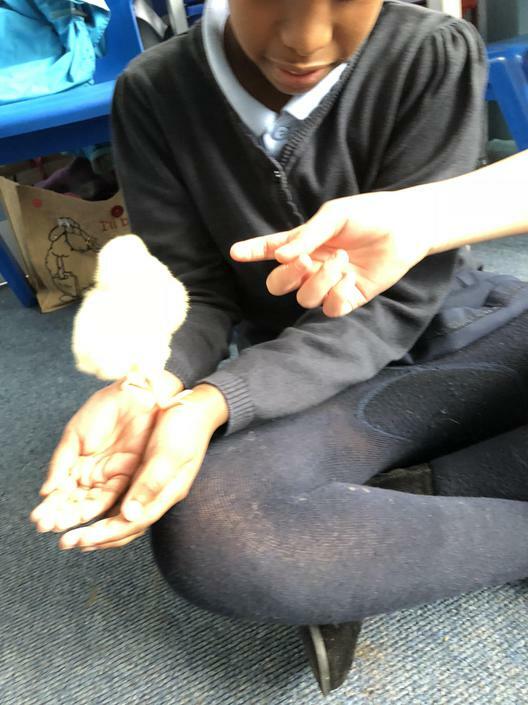 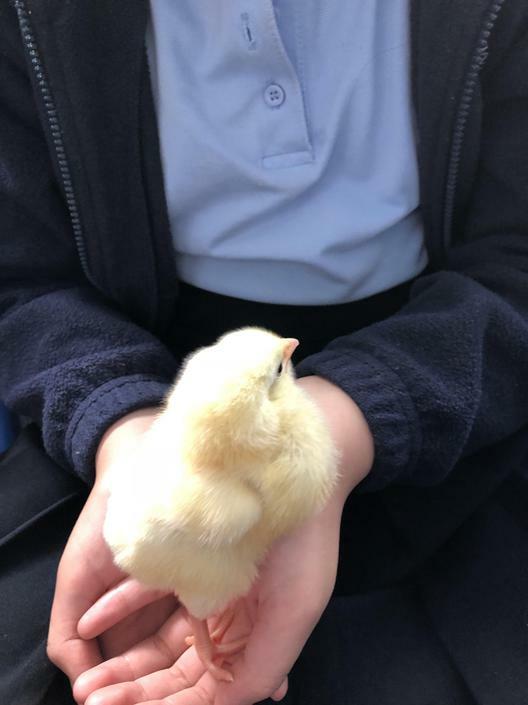 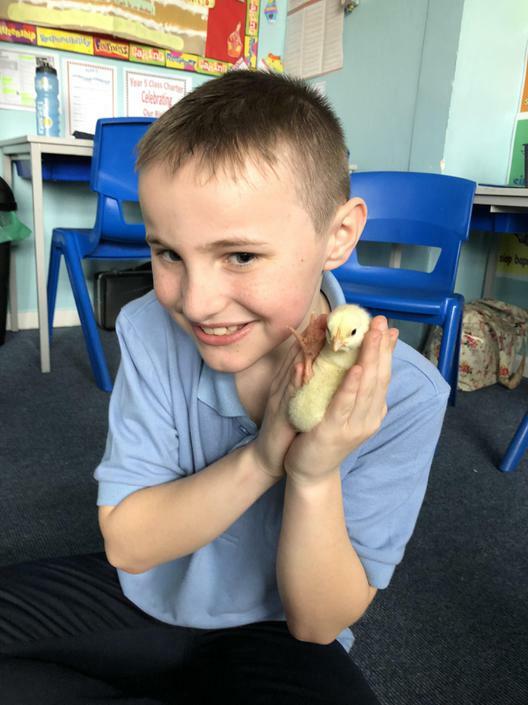 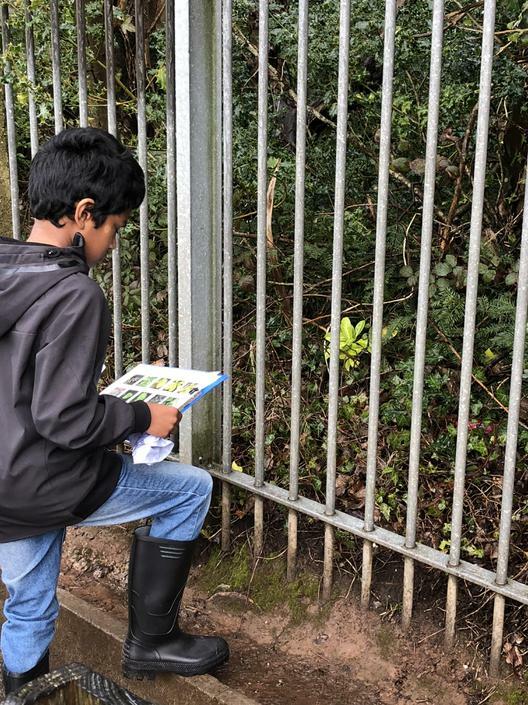 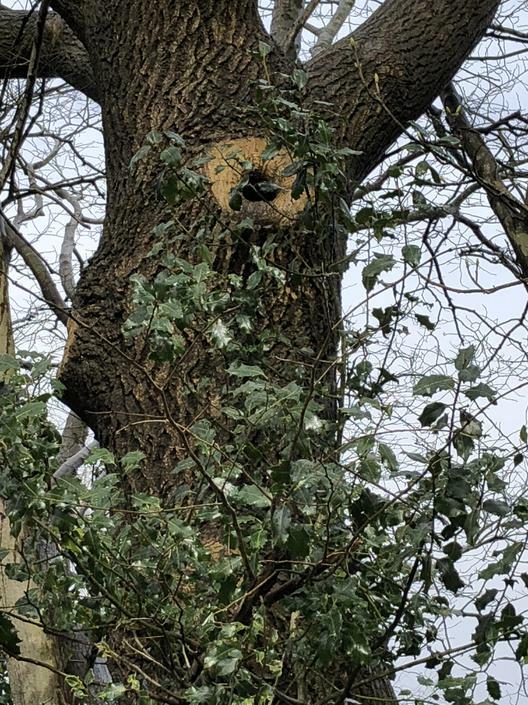 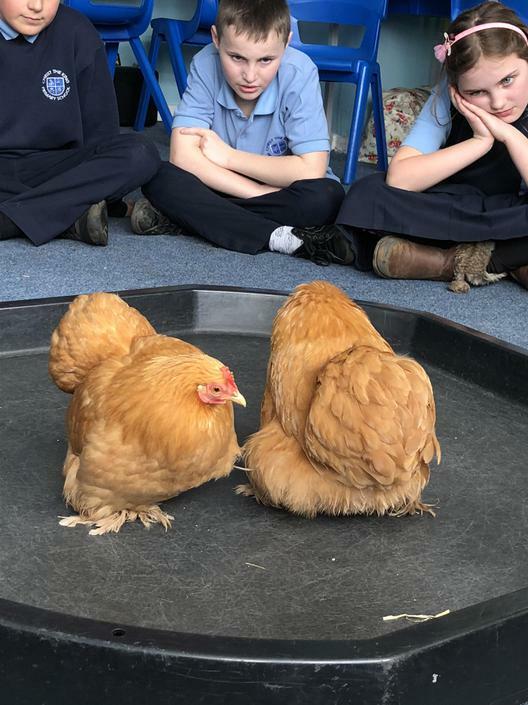 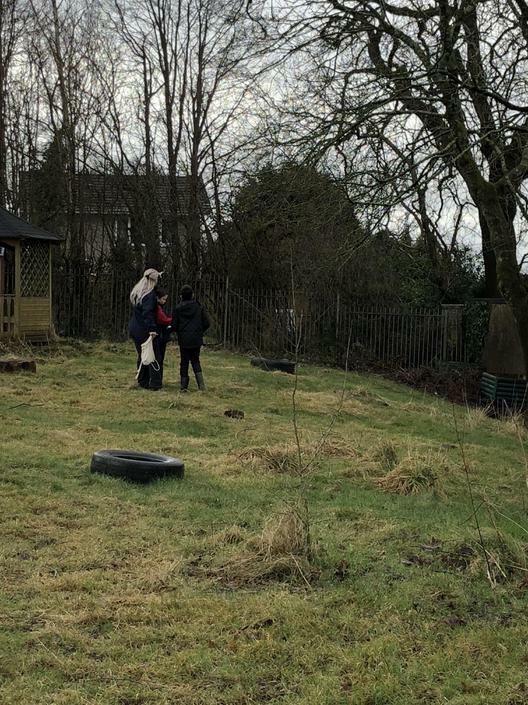 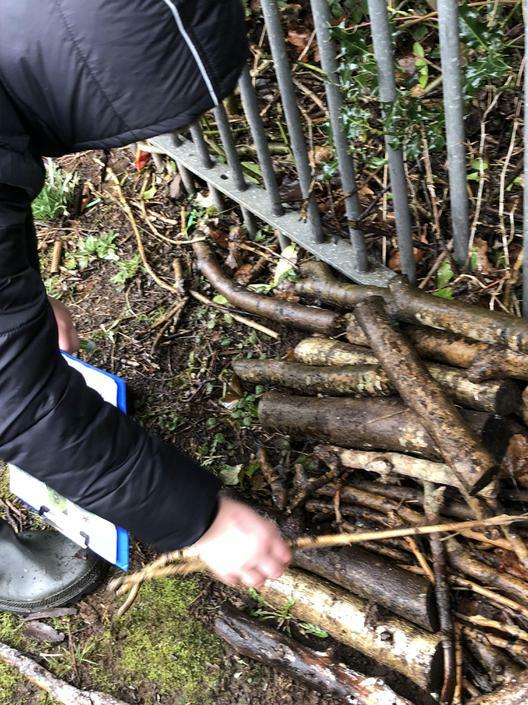 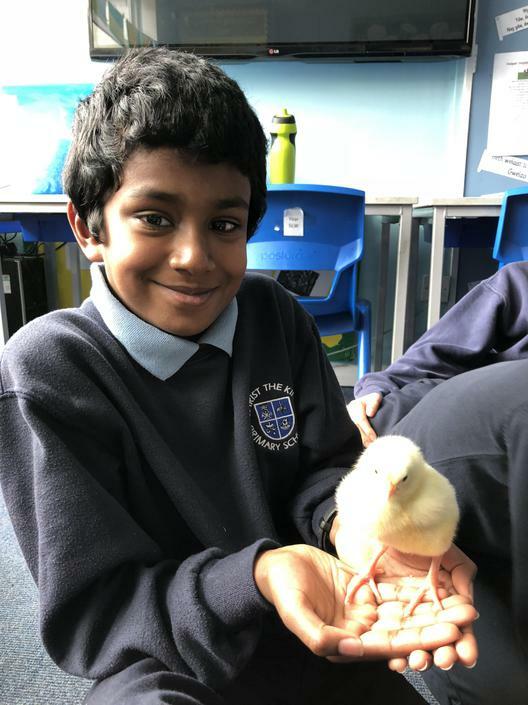 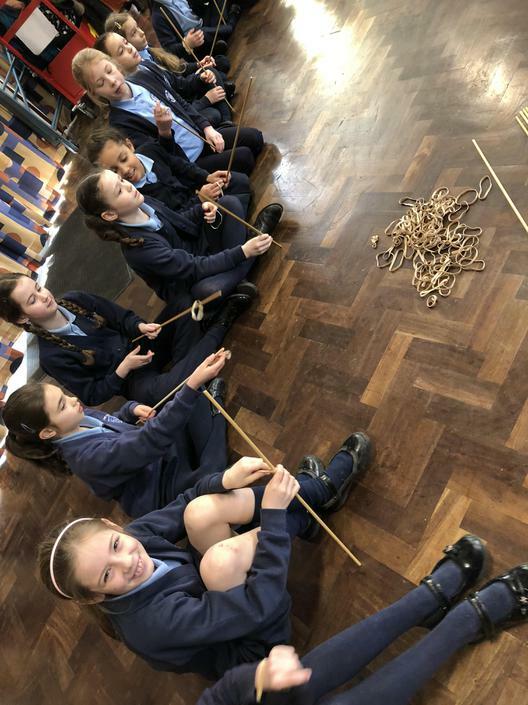 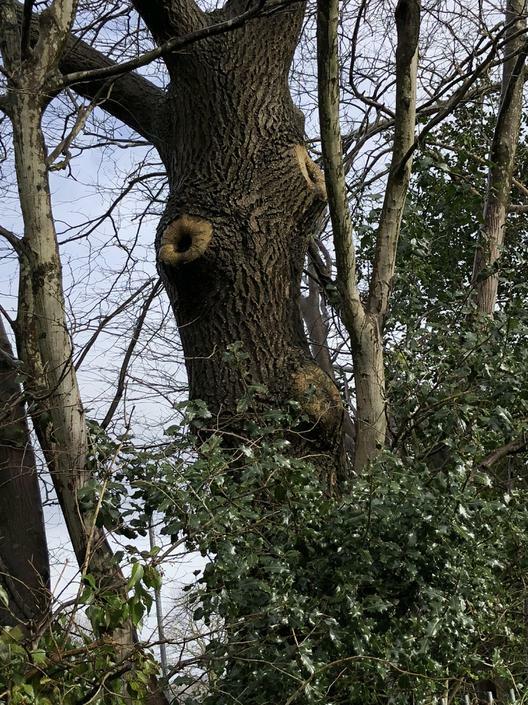 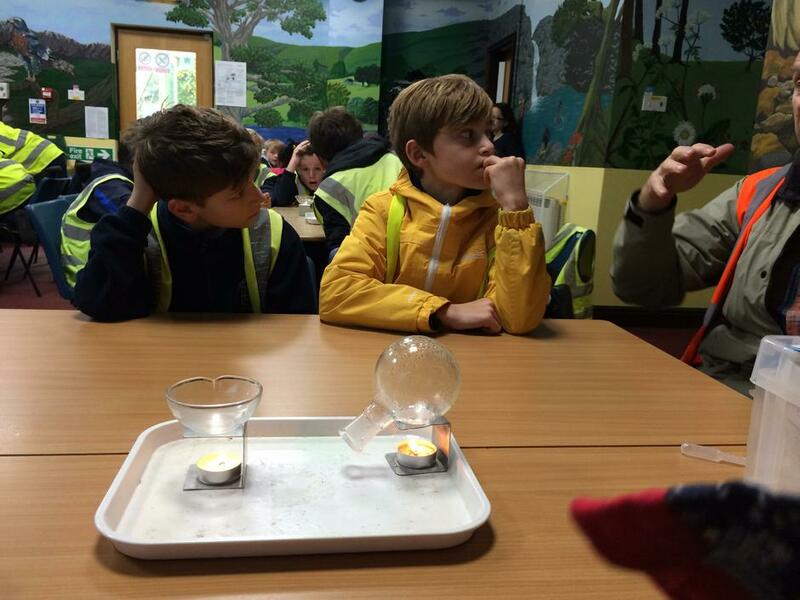 Year 5 learning about biodiversity in our school environment. 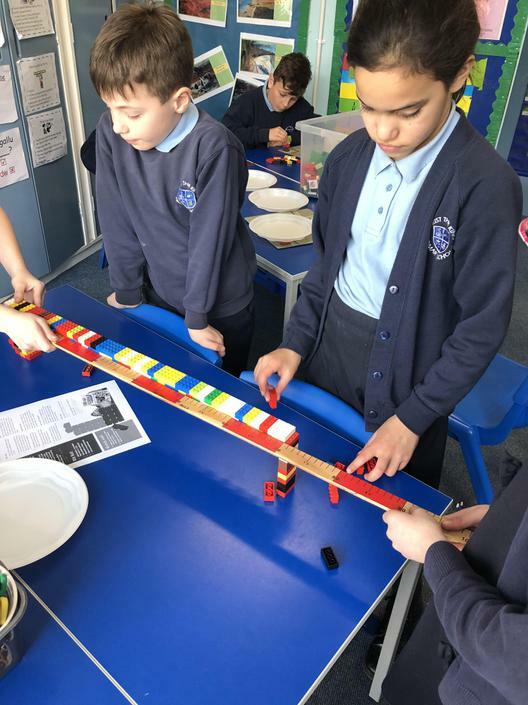 British Science Week 2018. 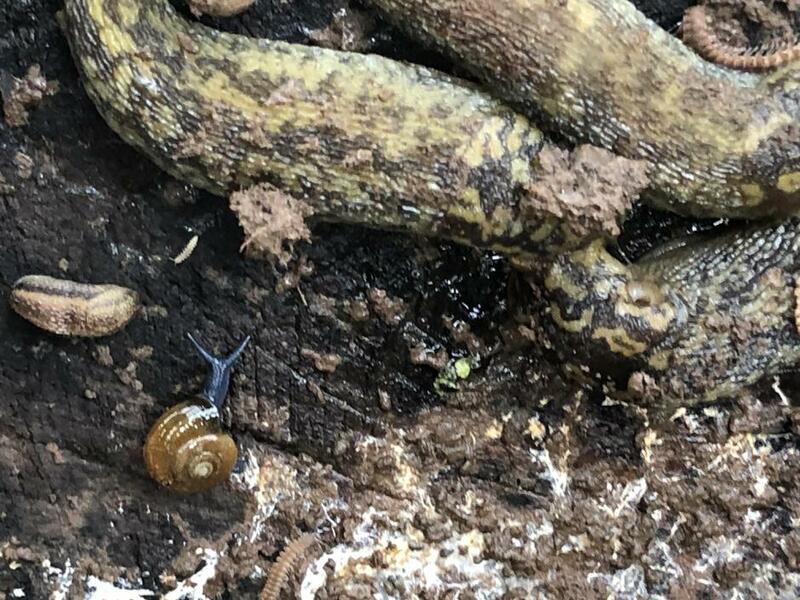 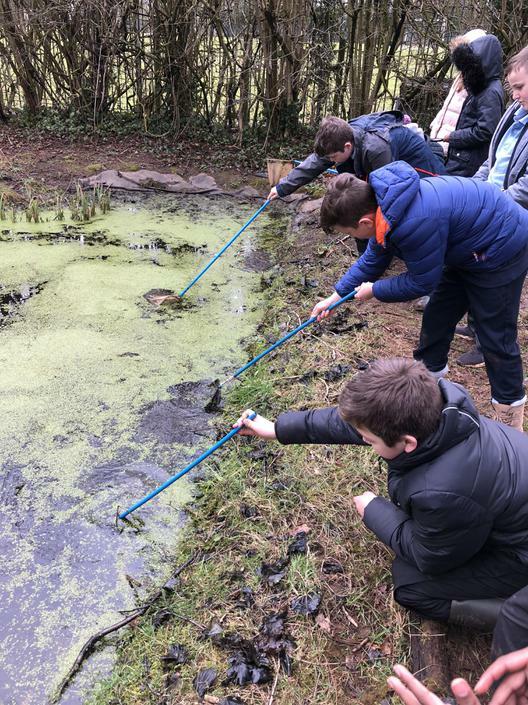 Pond dipping. 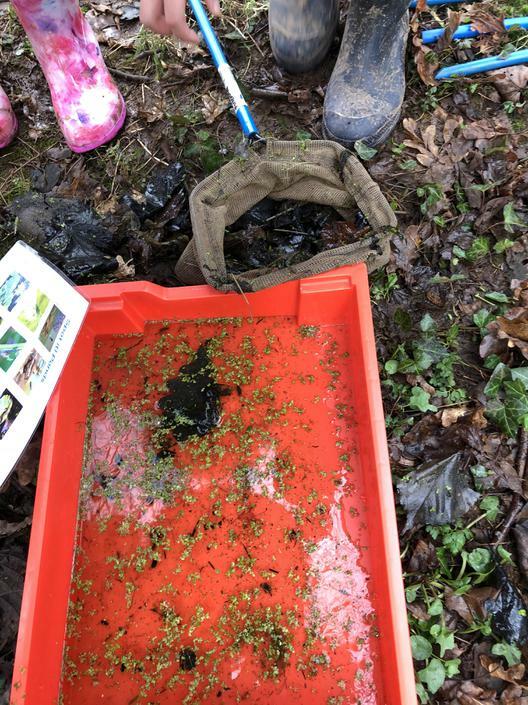 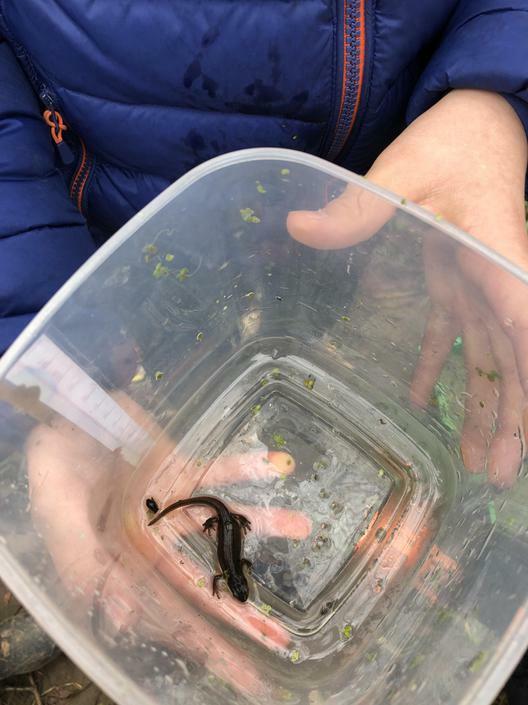 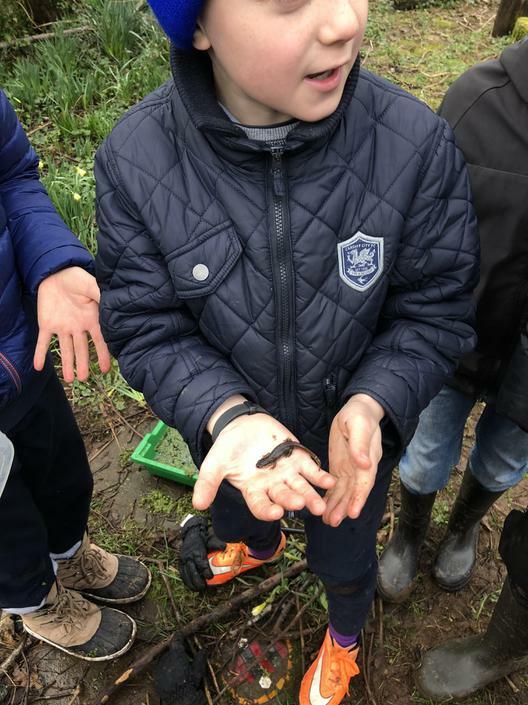 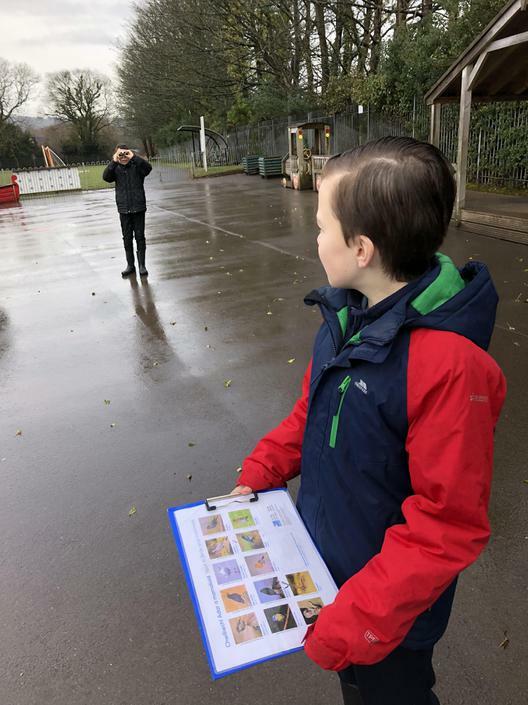 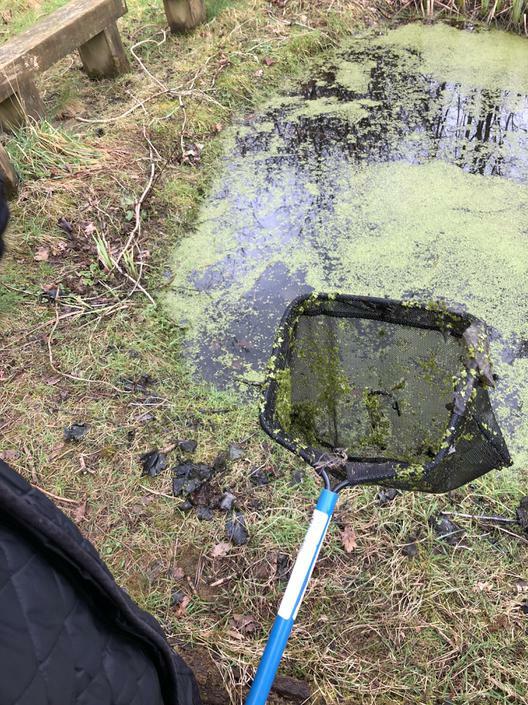 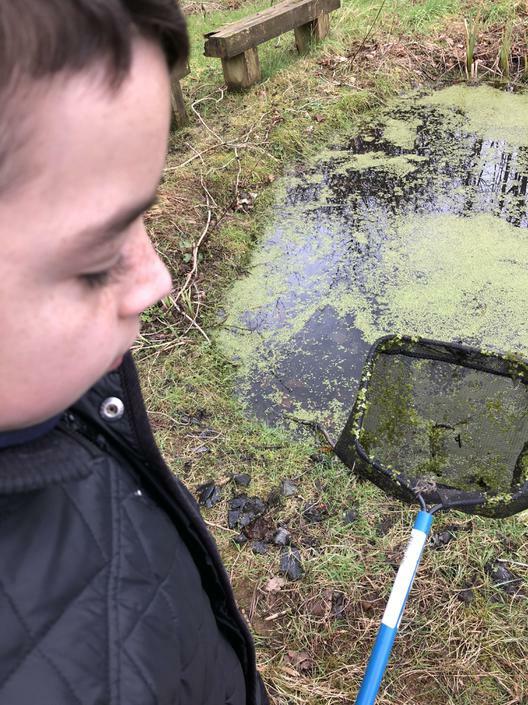 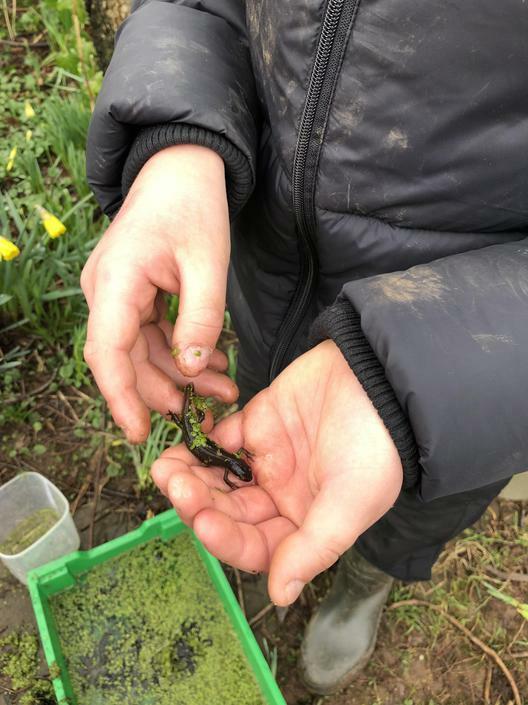 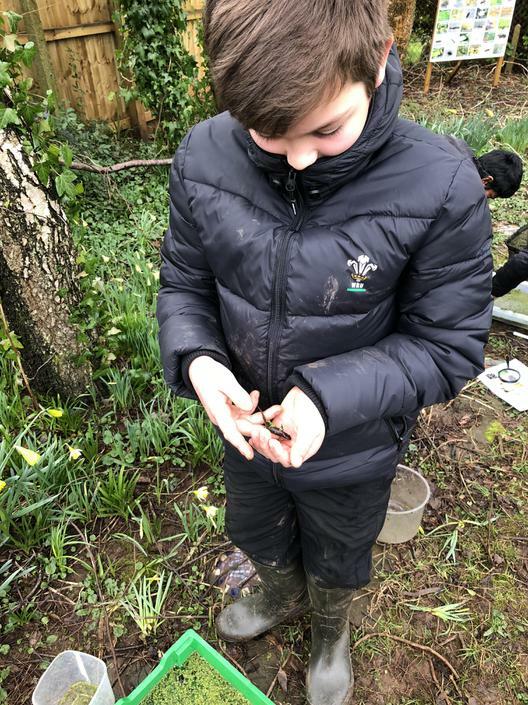 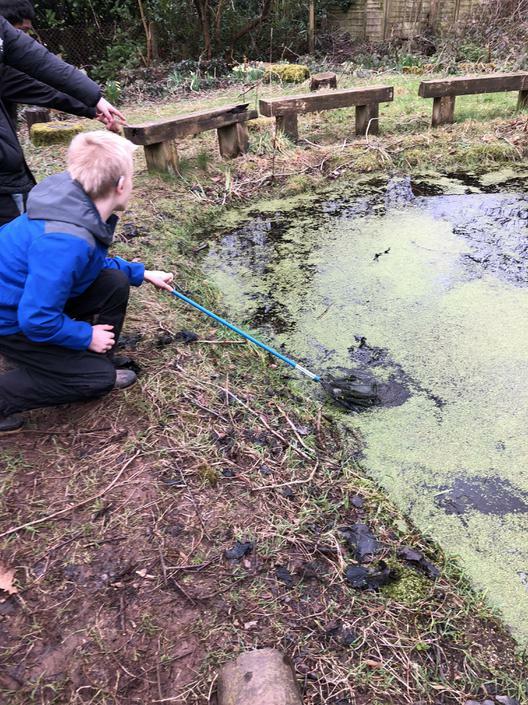 Collecting data on the number of mini beasts living in our school pond. 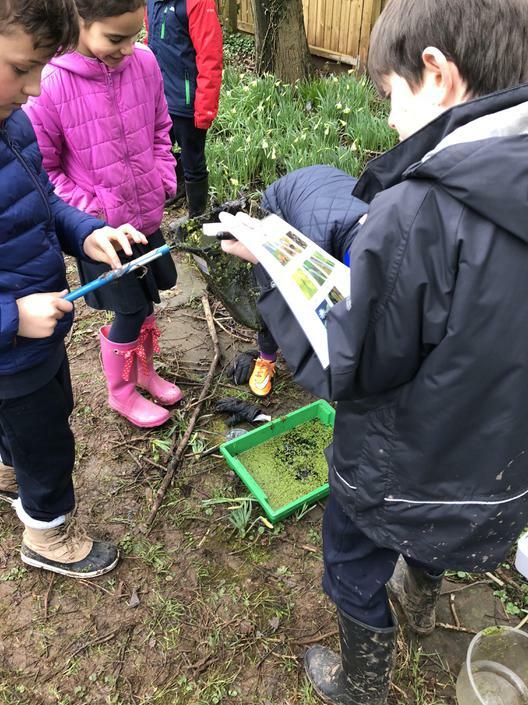 Creating Fact Files about pond creatures. 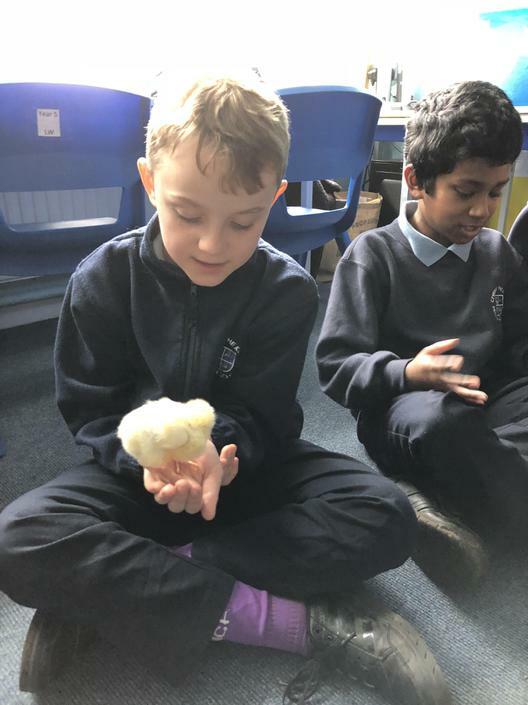 Food chains, data and research. 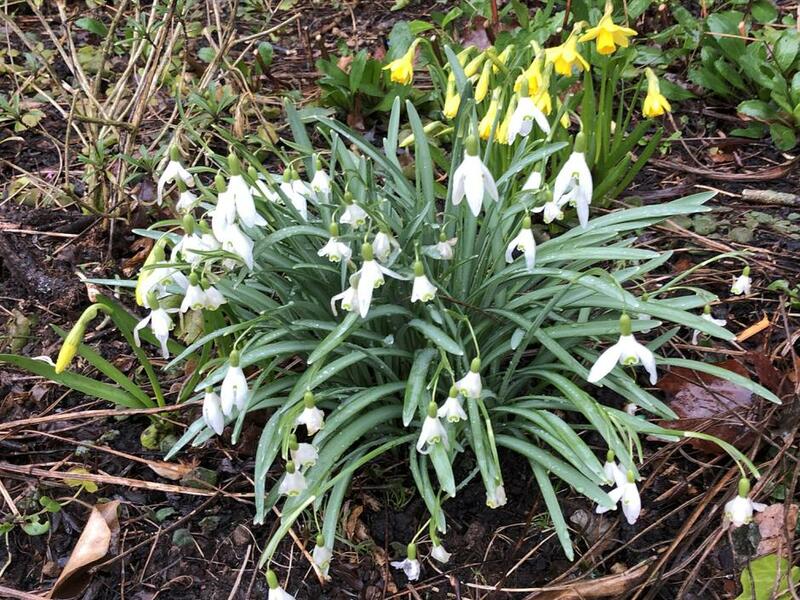 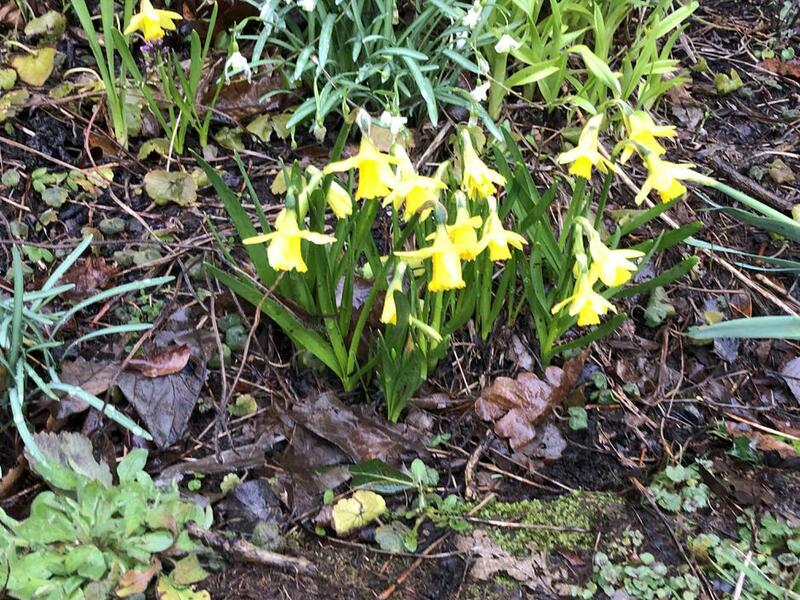 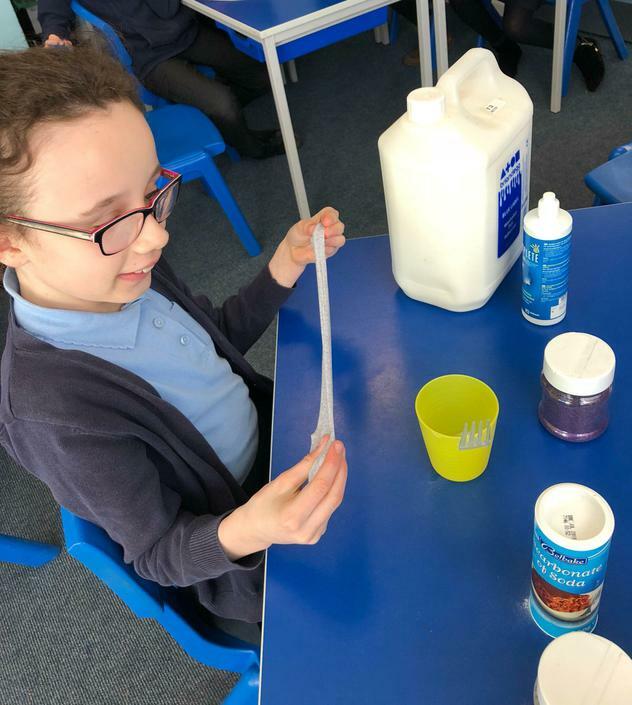 British Science Week 2018 Wednesday 14th March. 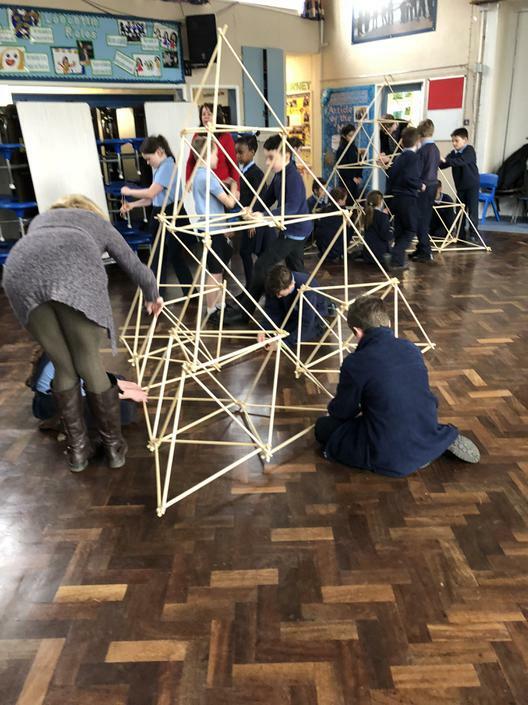 Working with the STEM Ambassador to build a giant structure. 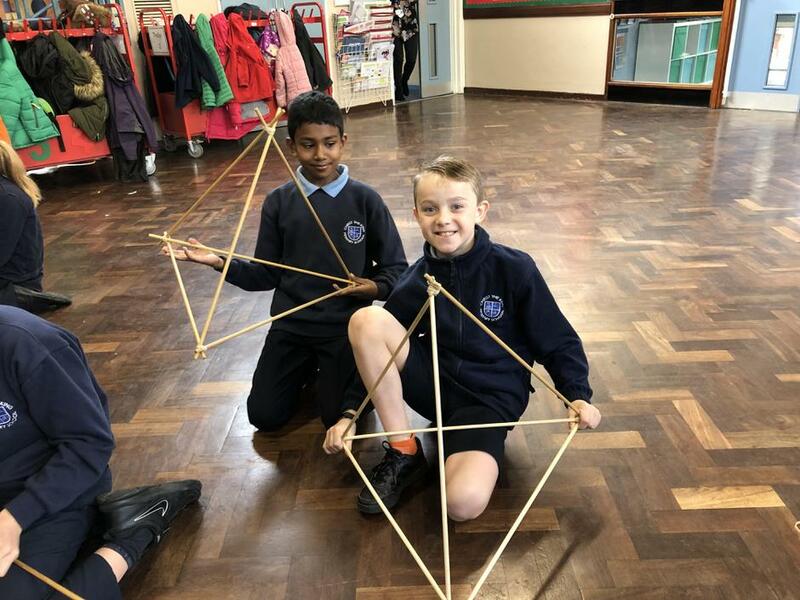 Tetrahedrons. 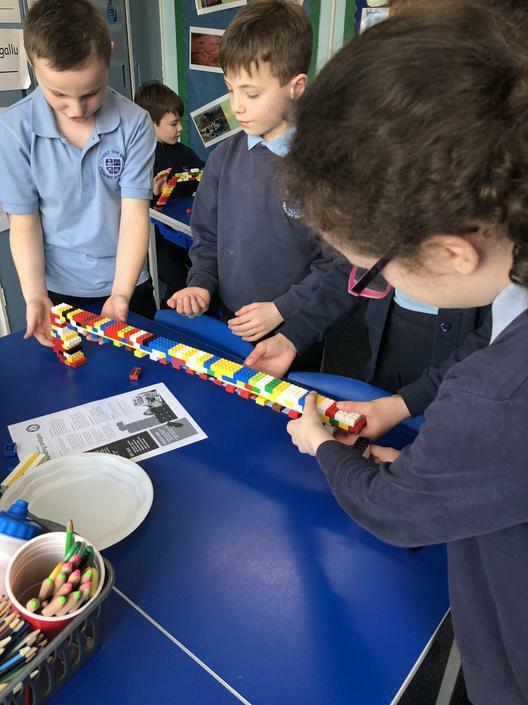 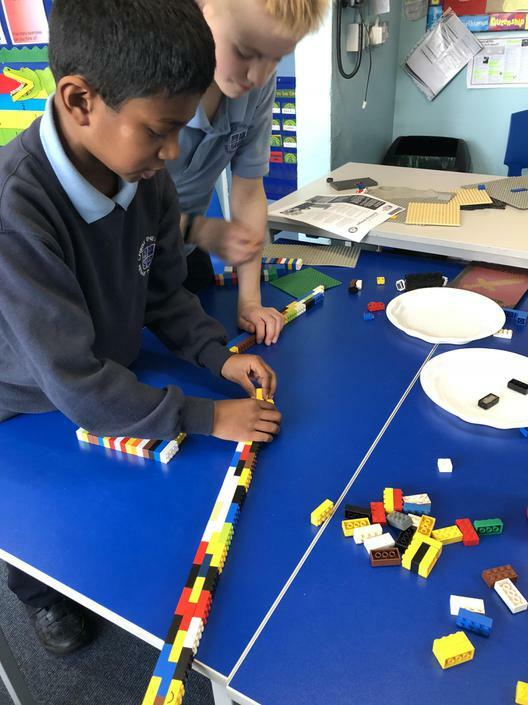 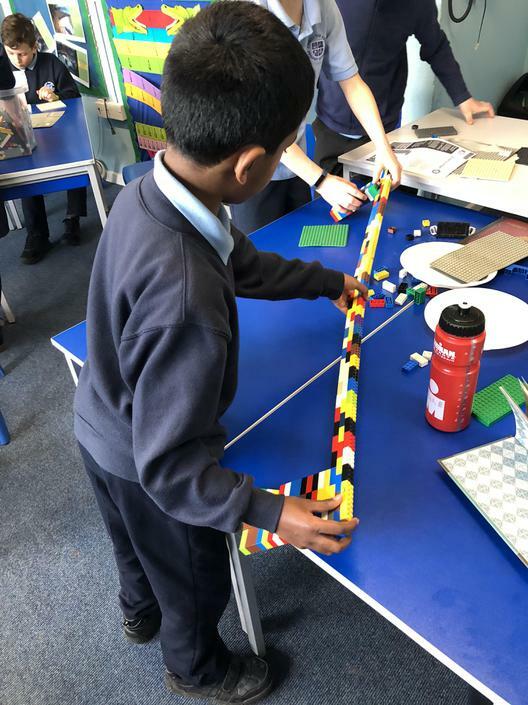 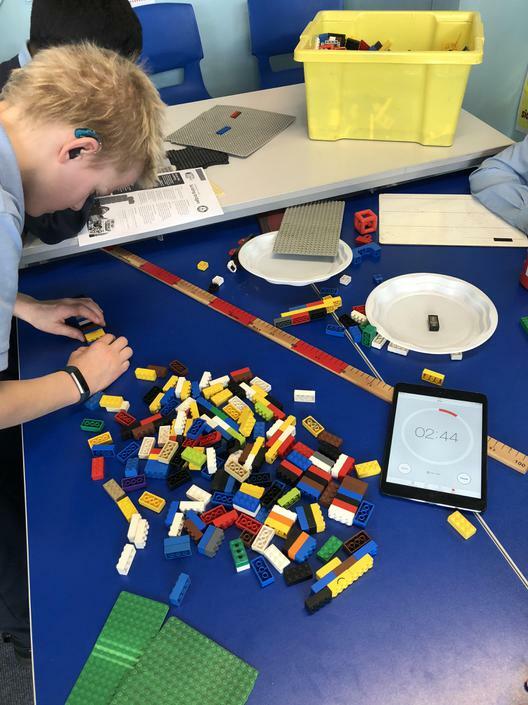 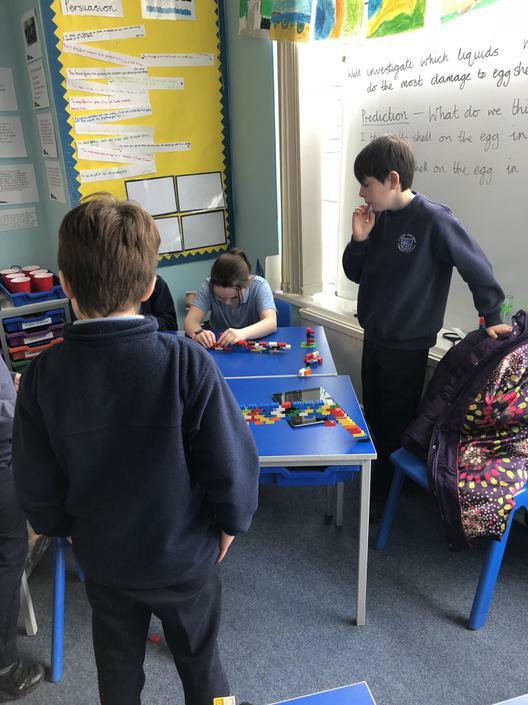 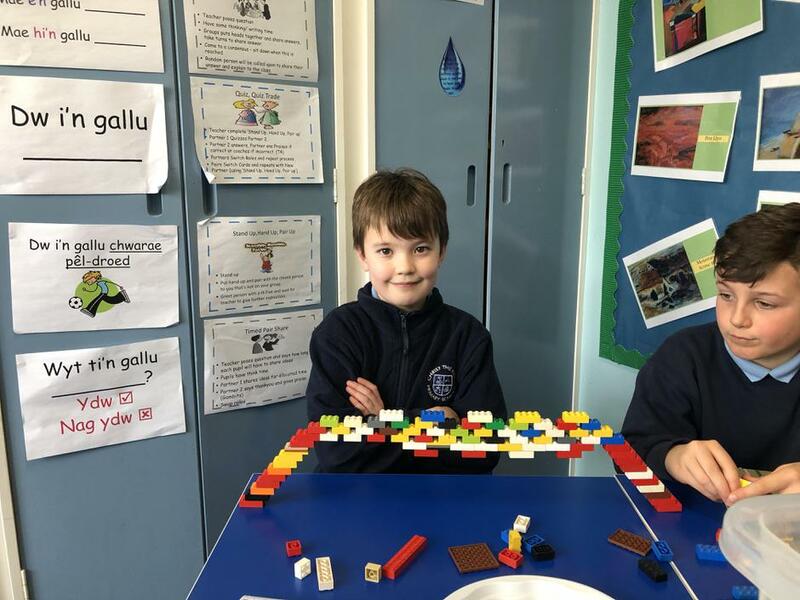 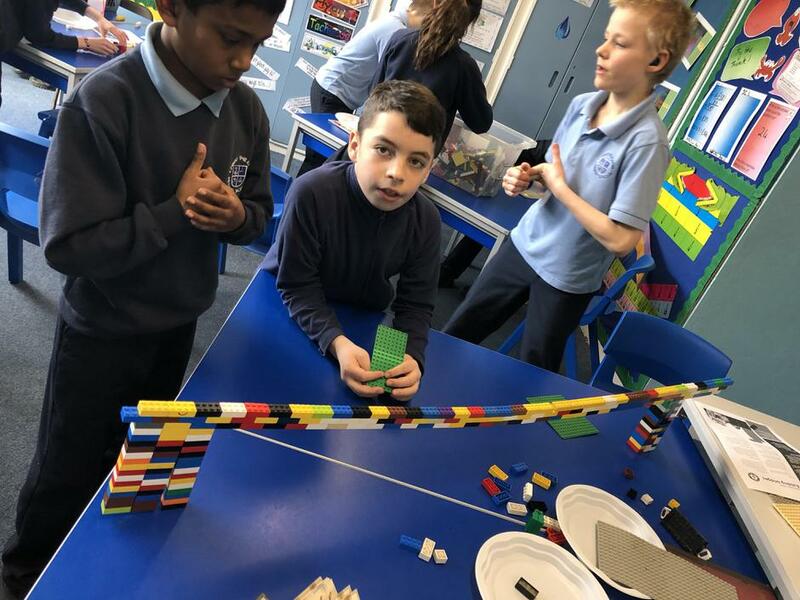 British Science Week 2018 Thursday 15th March Lego challenge. 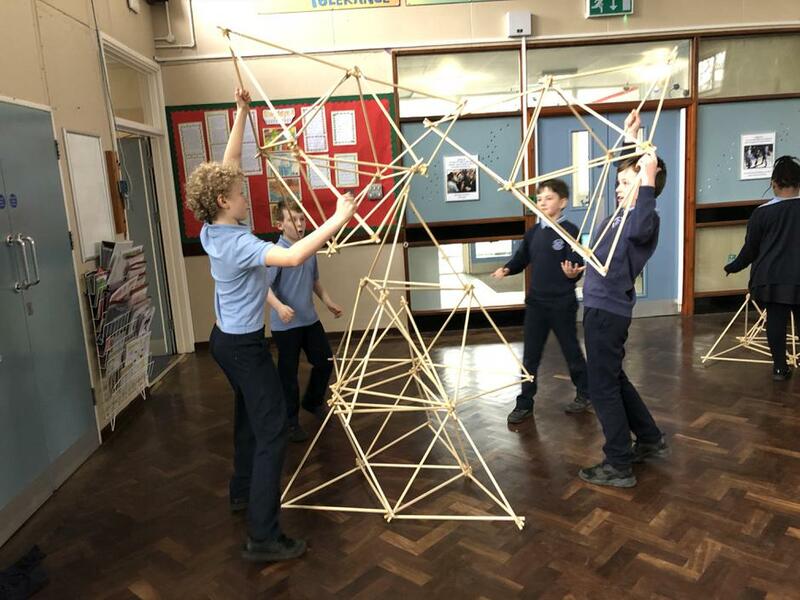 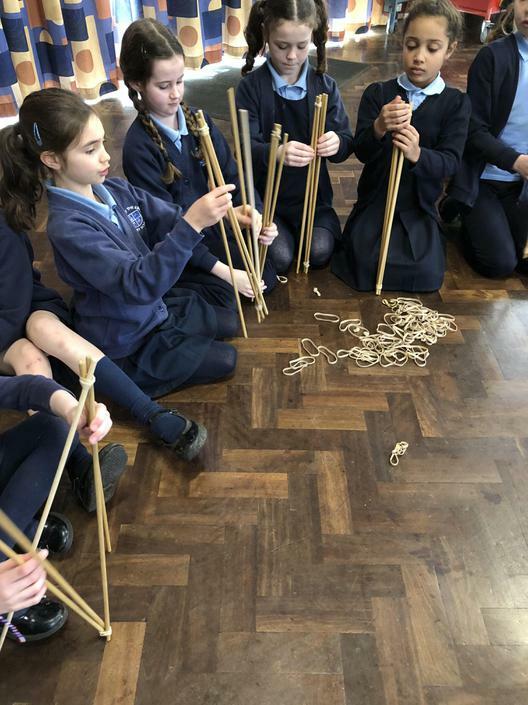 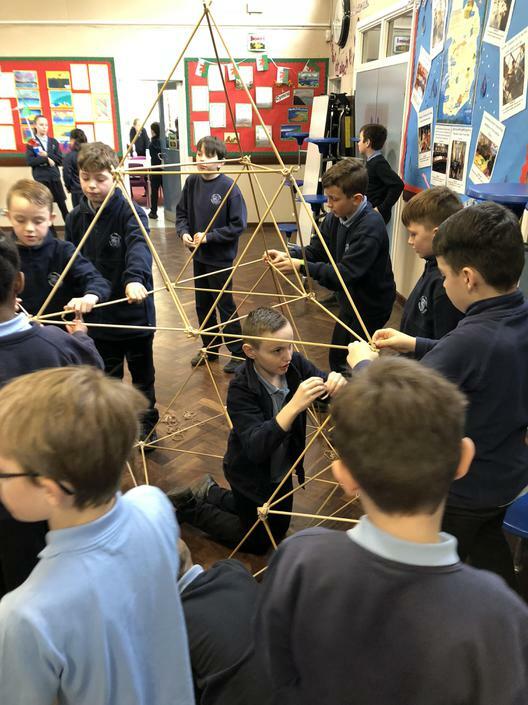 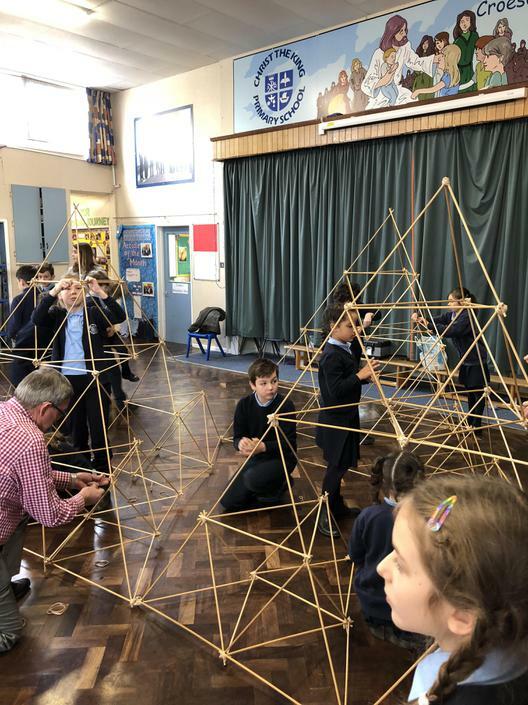 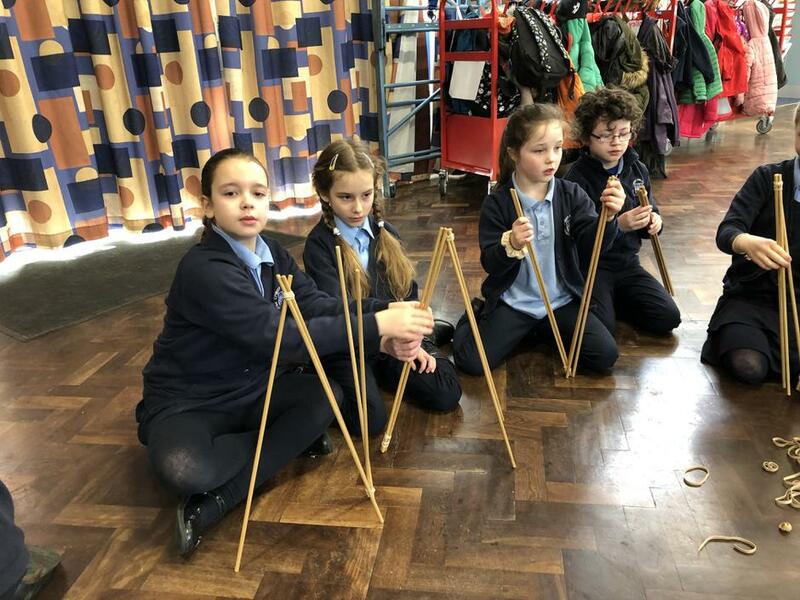 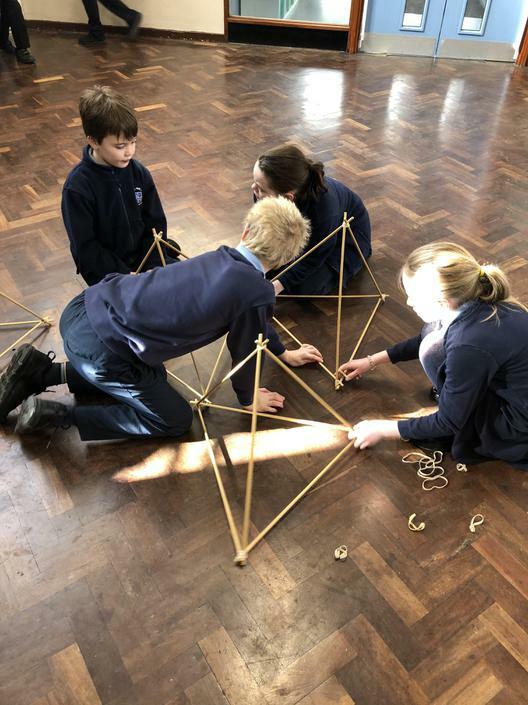 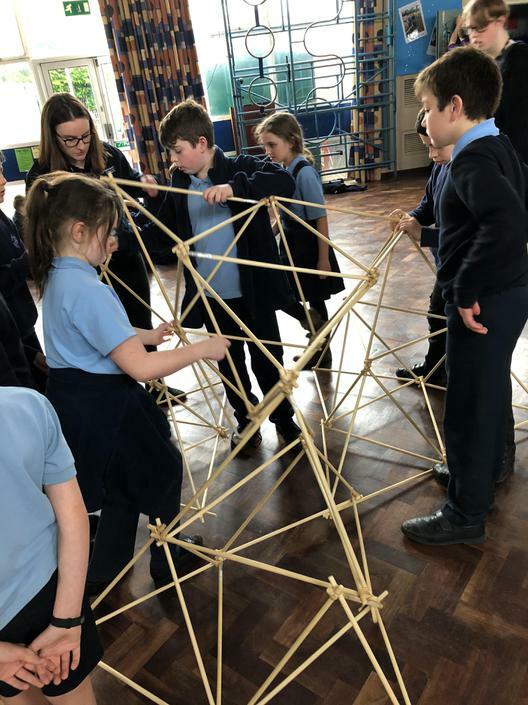 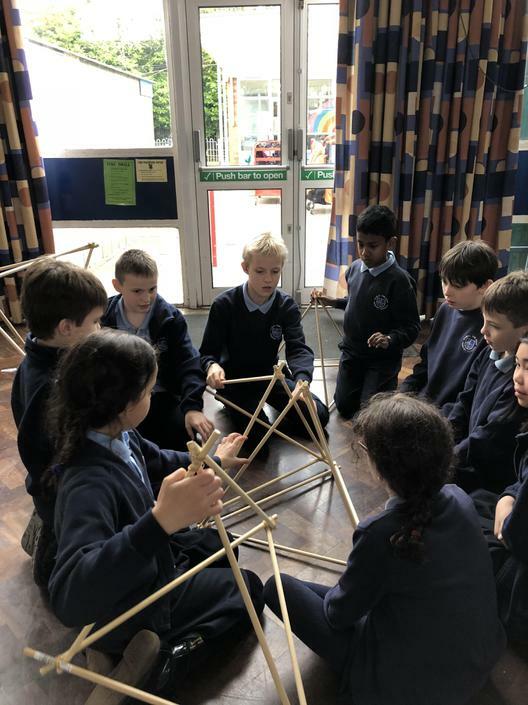 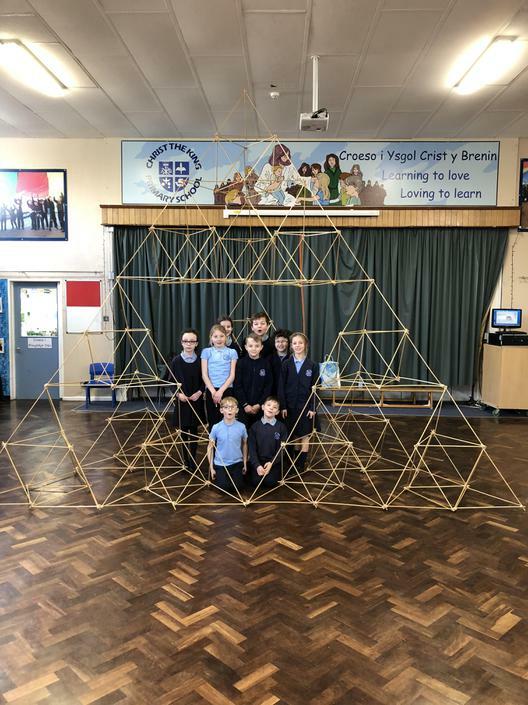 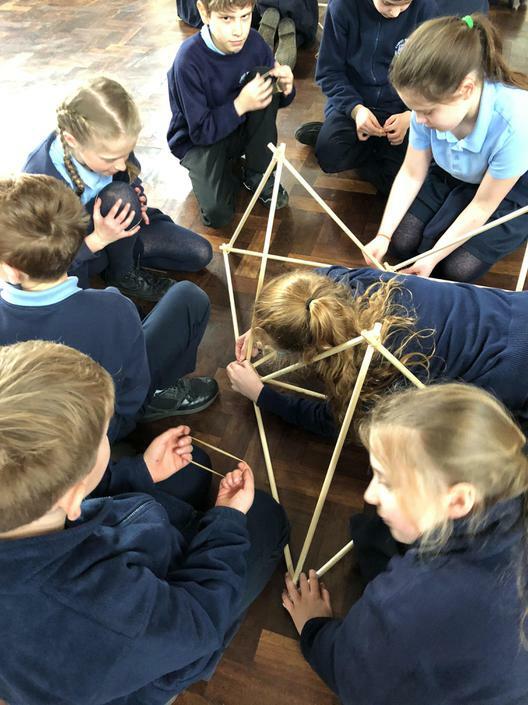 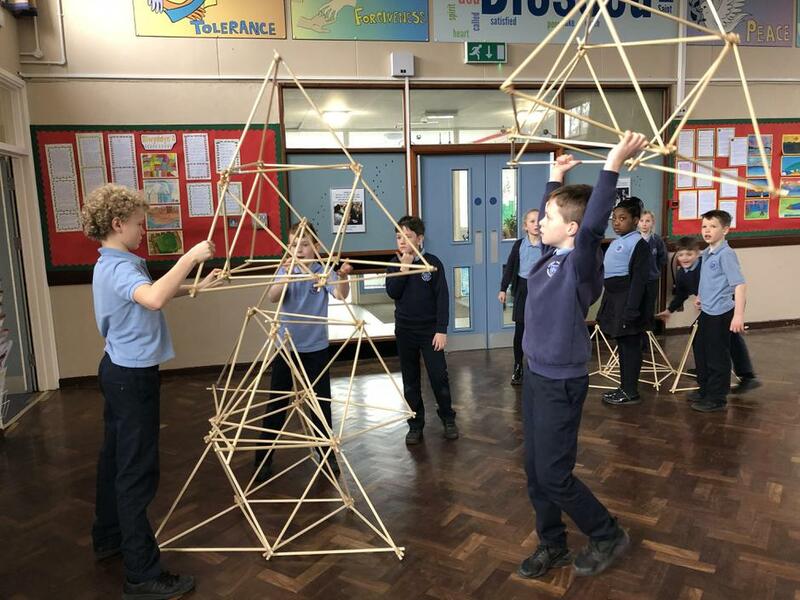 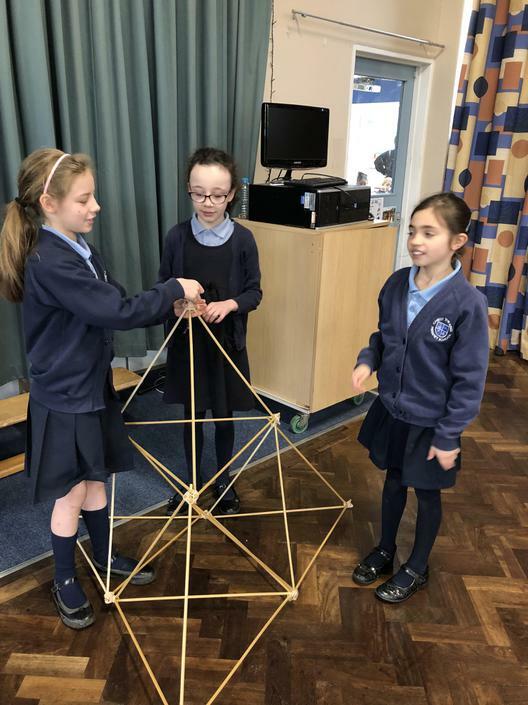 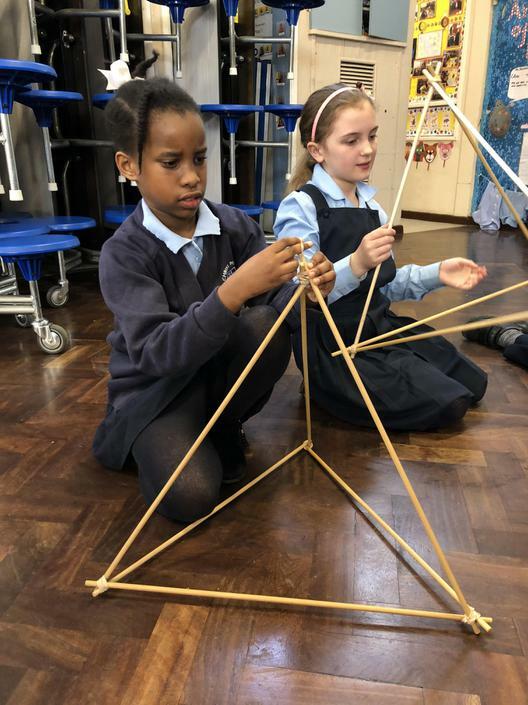 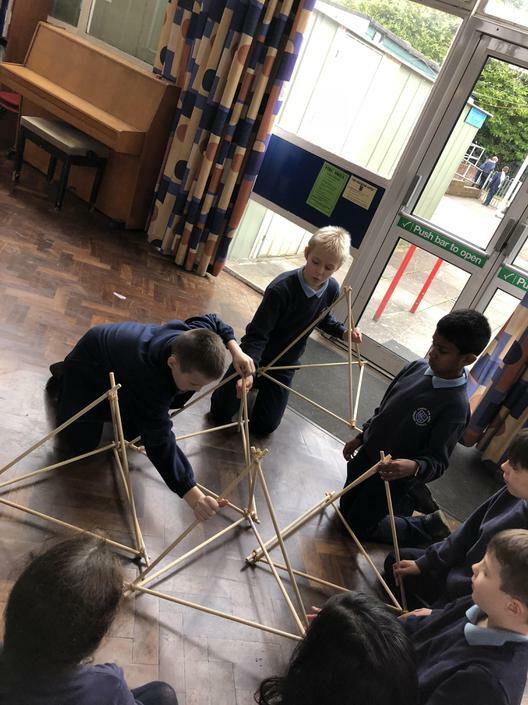 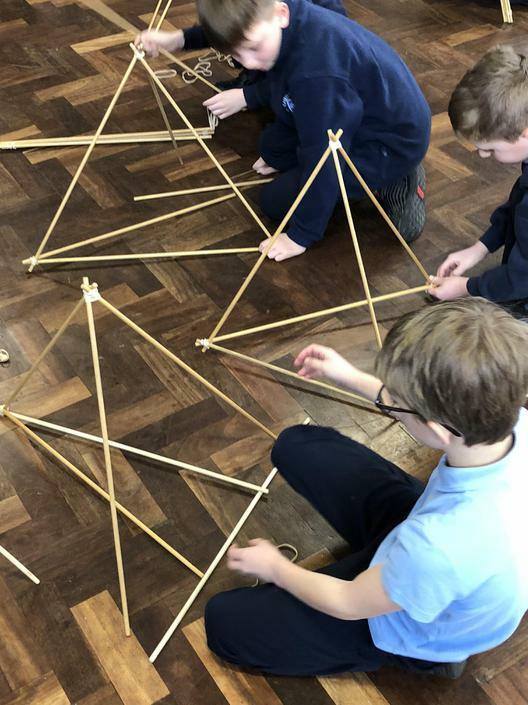 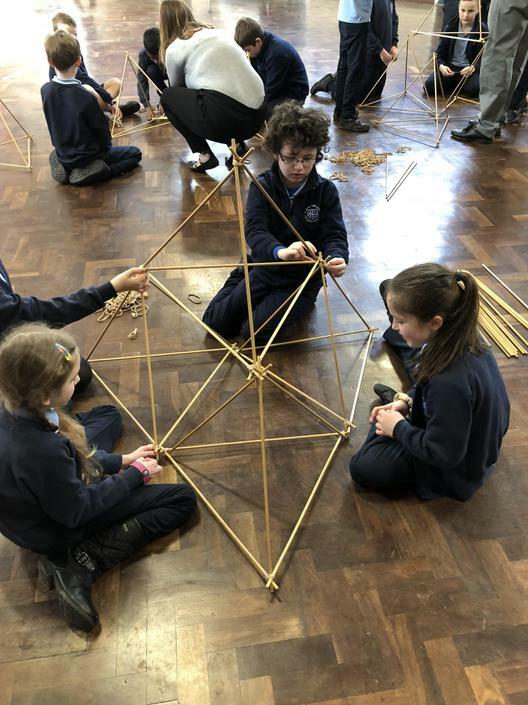 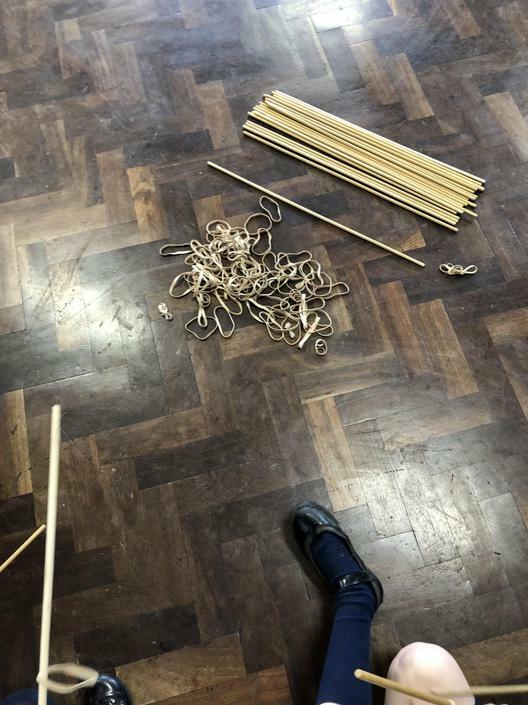 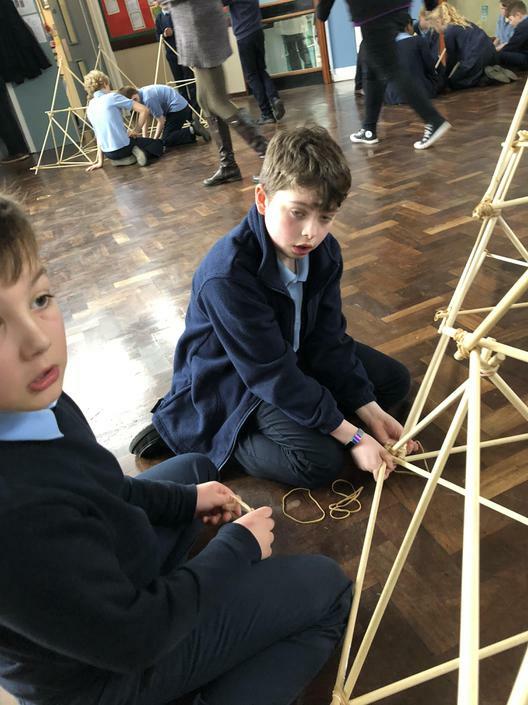 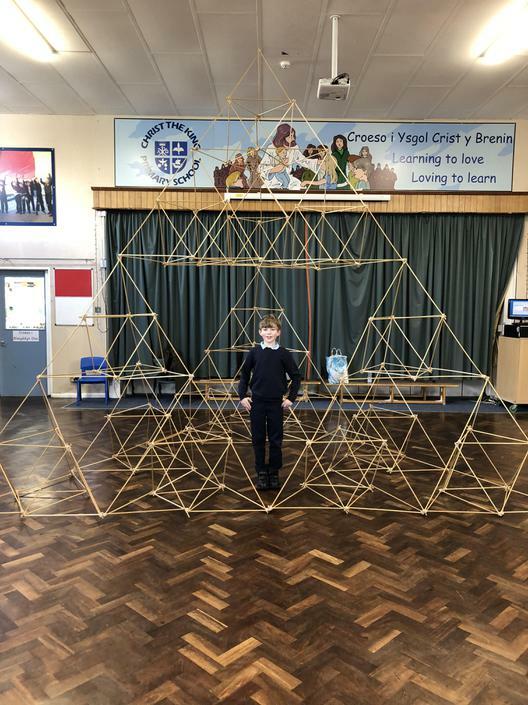 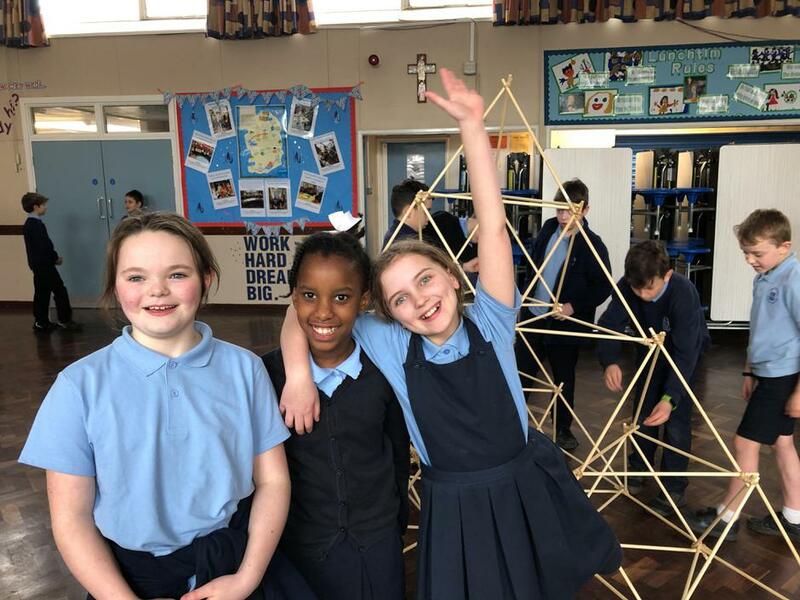 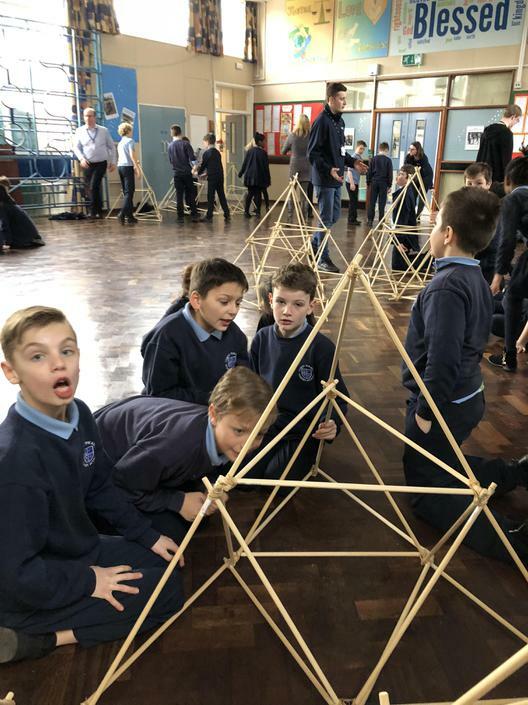 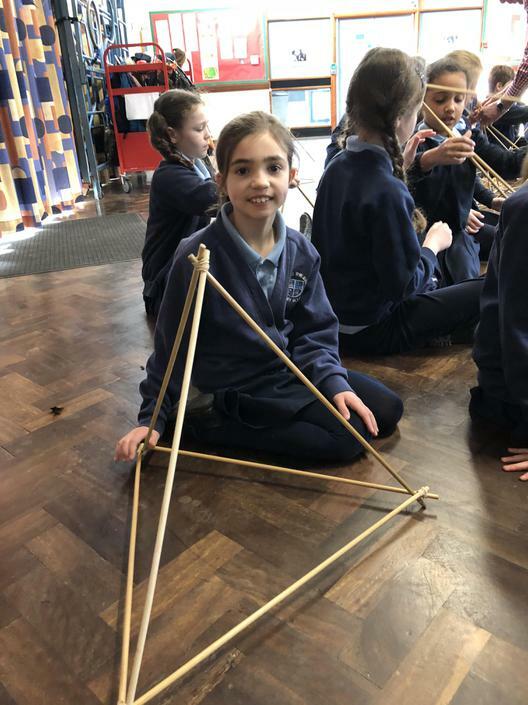 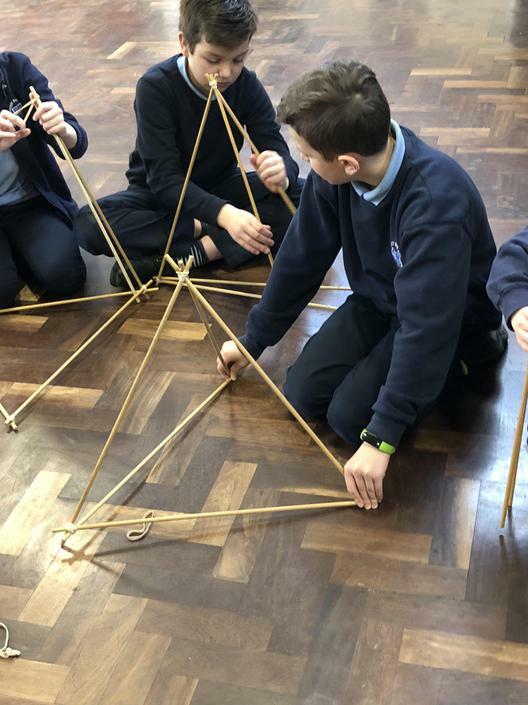 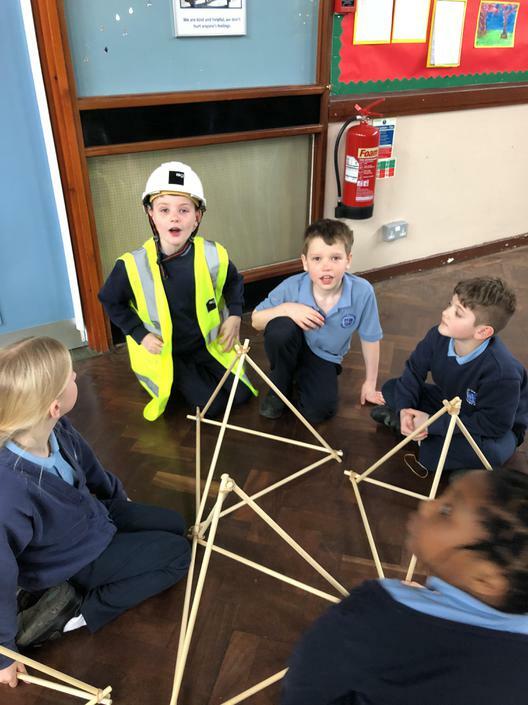 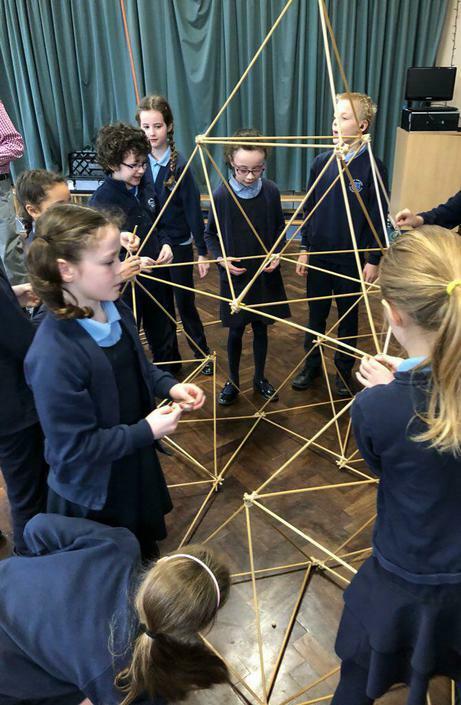 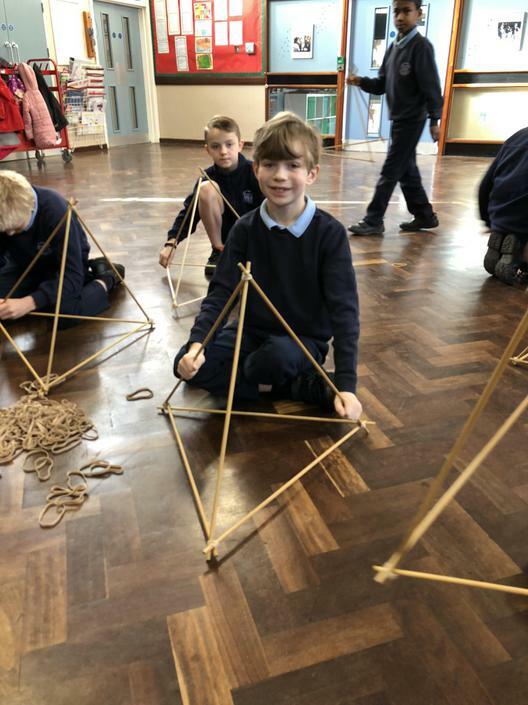 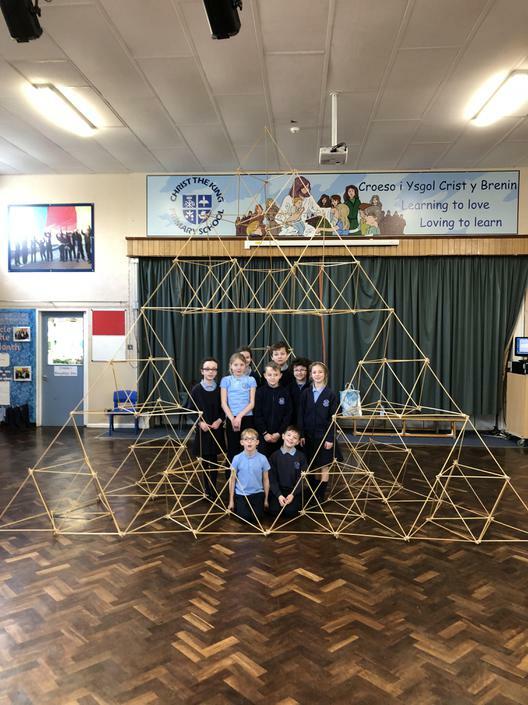 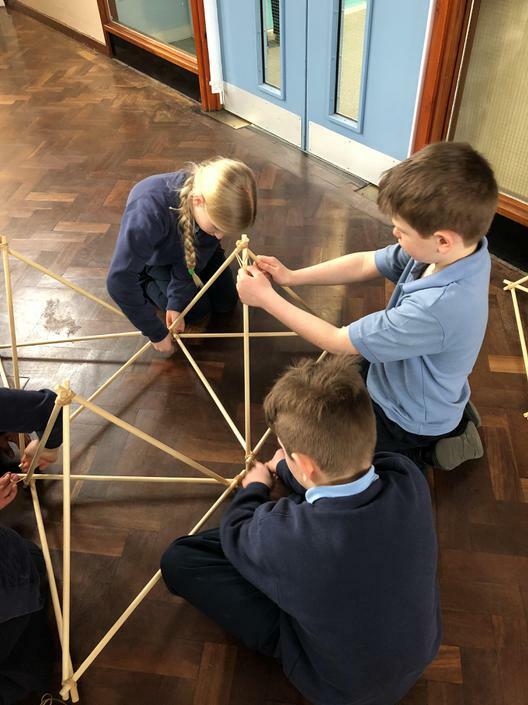 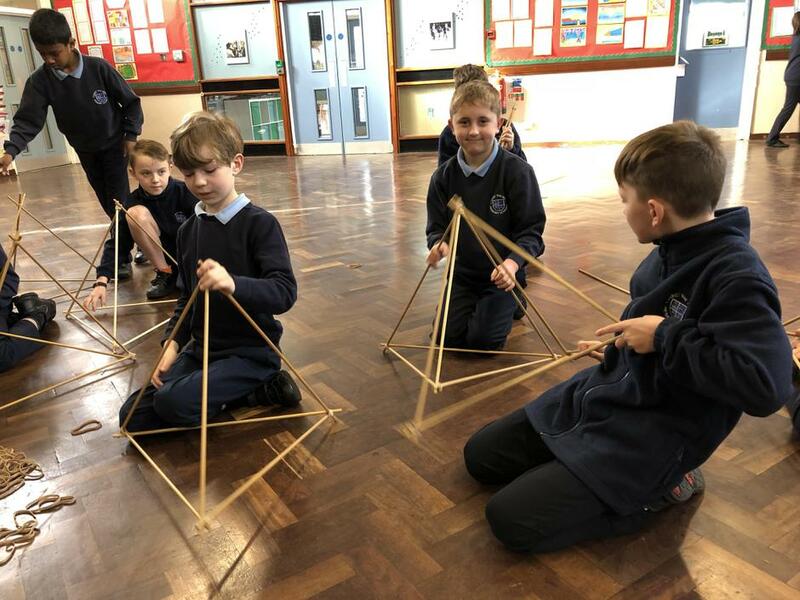 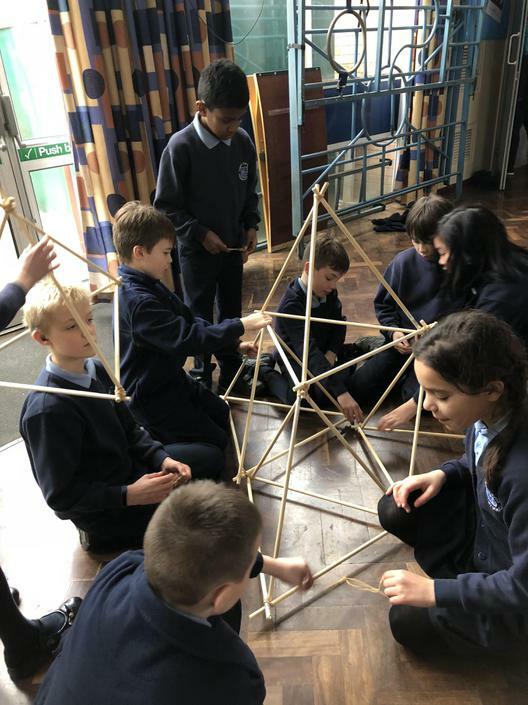 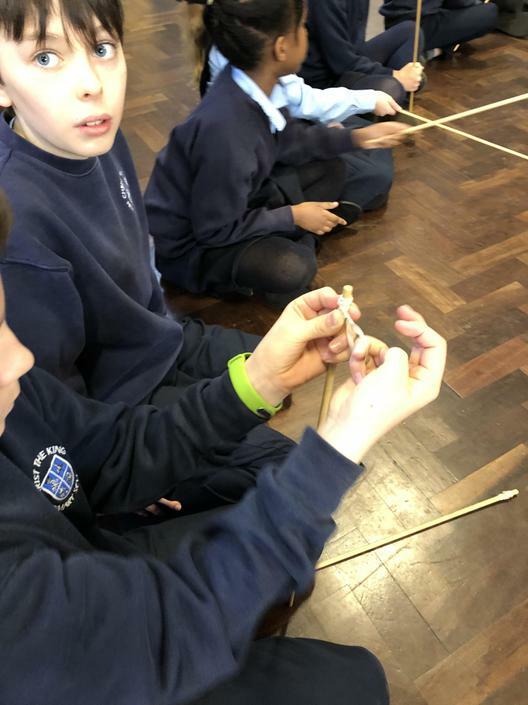 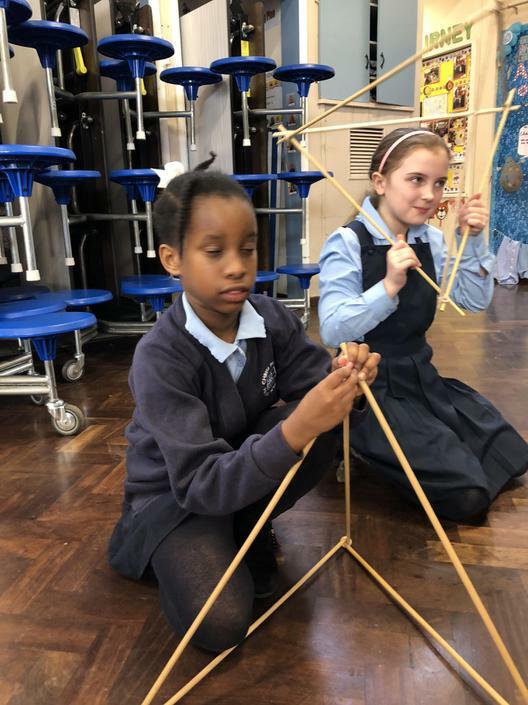 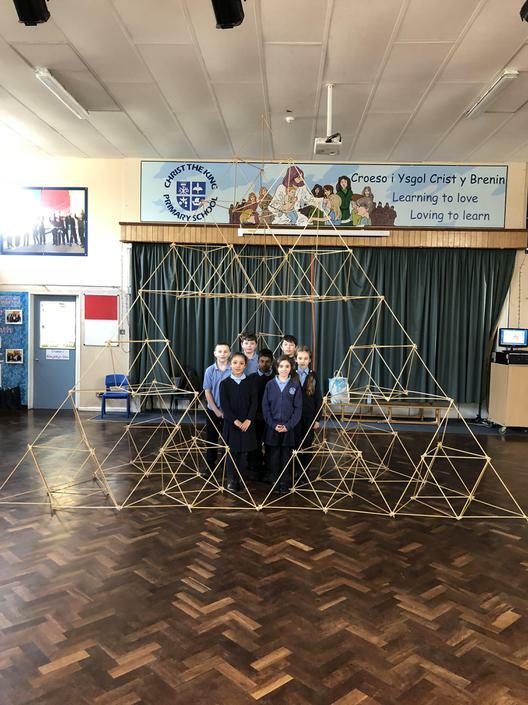 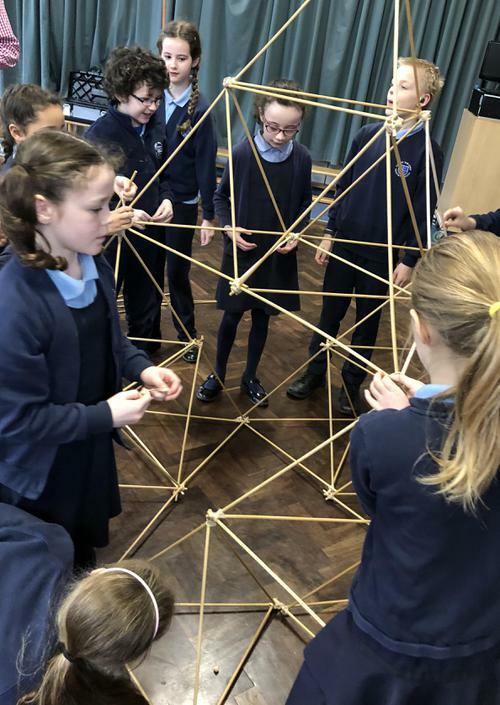 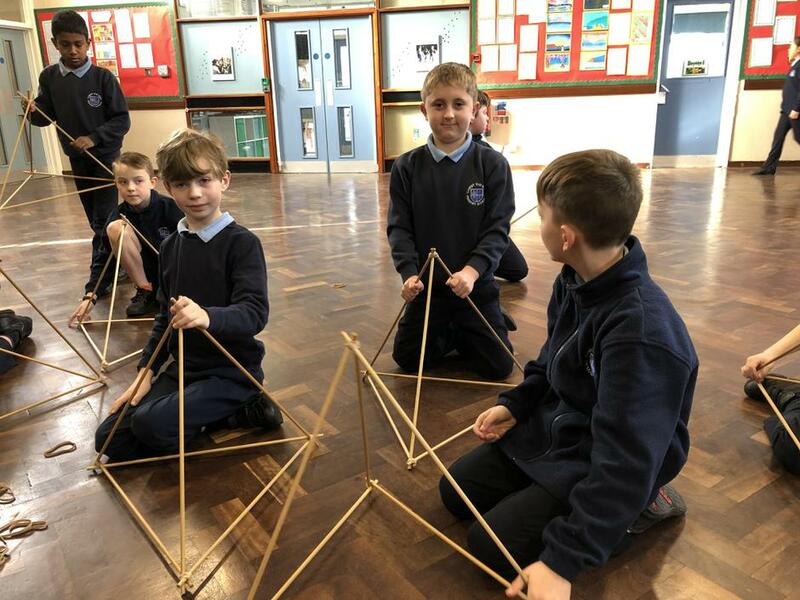 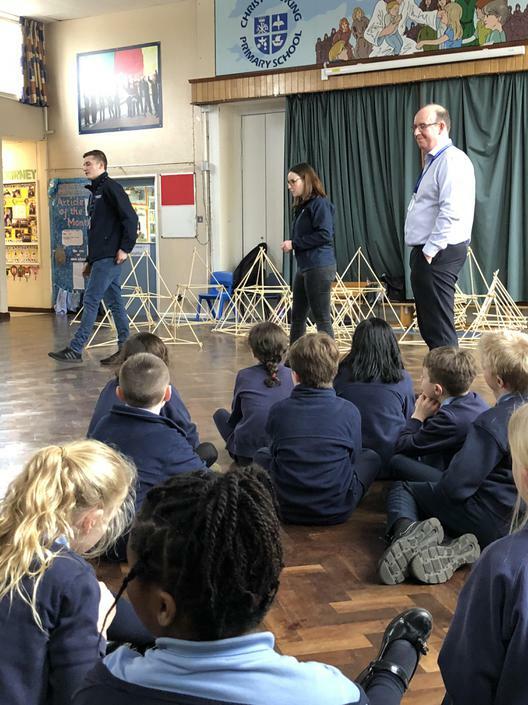 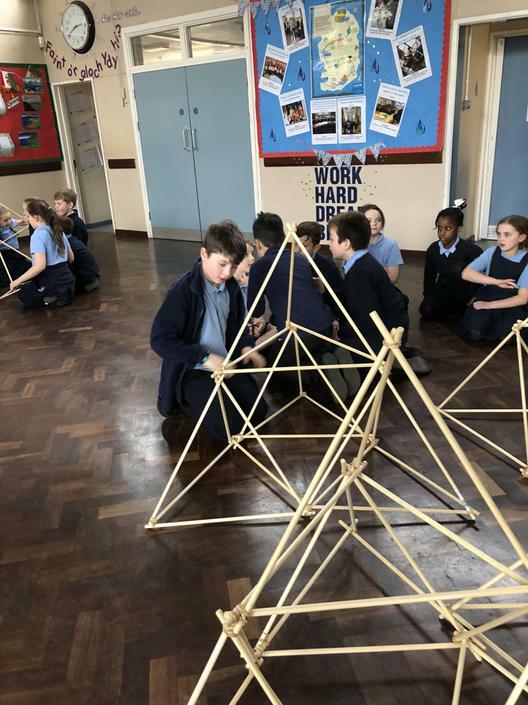 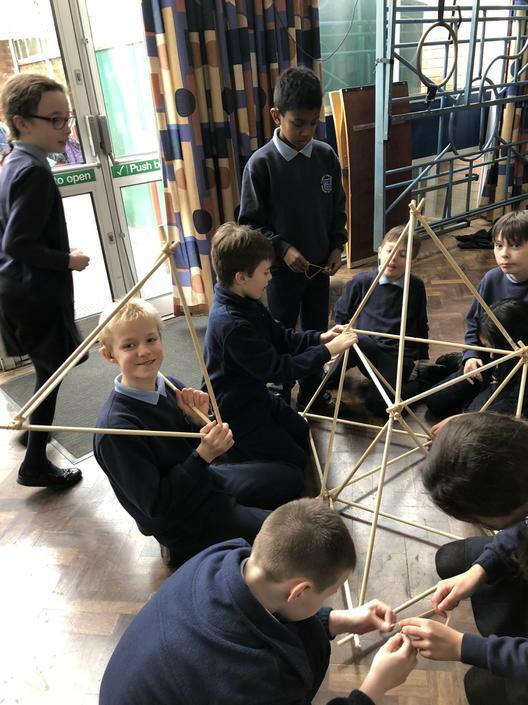 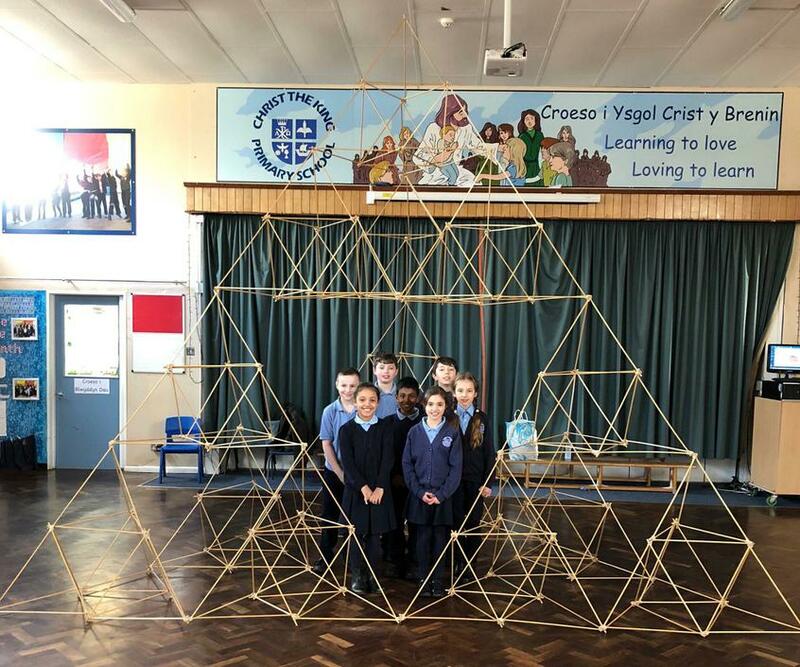 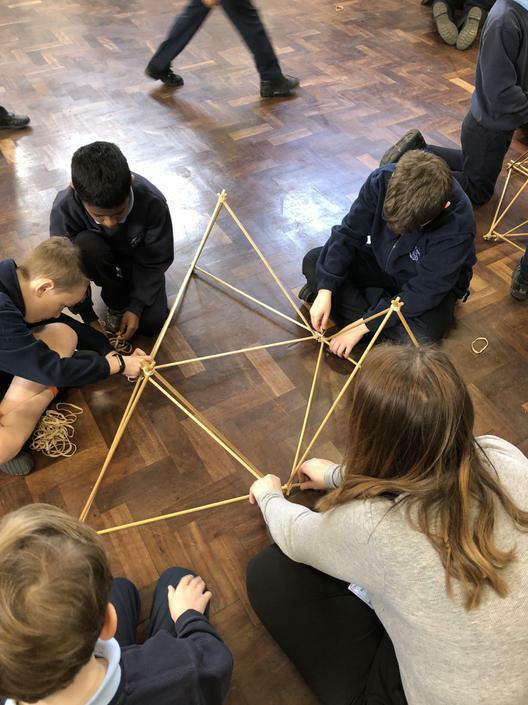 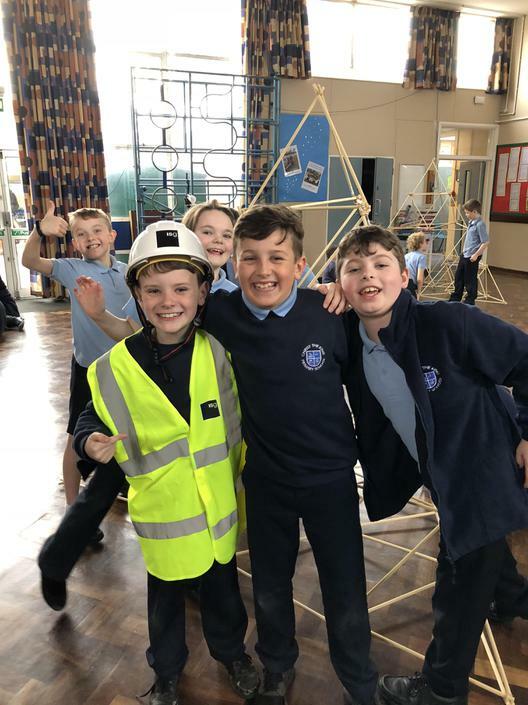 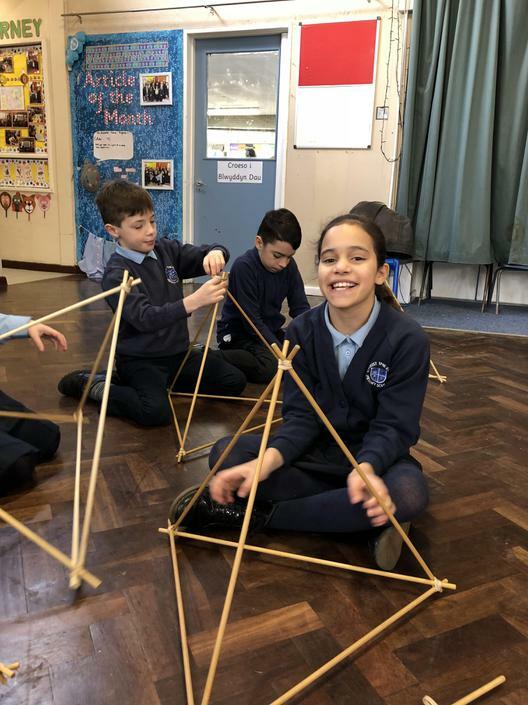 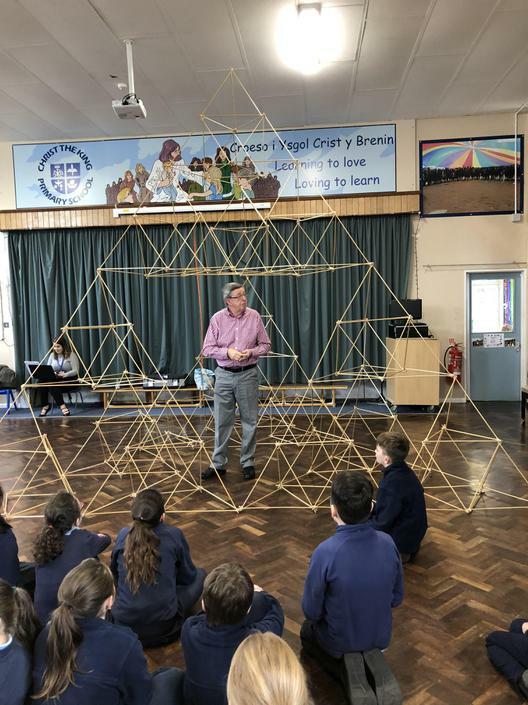 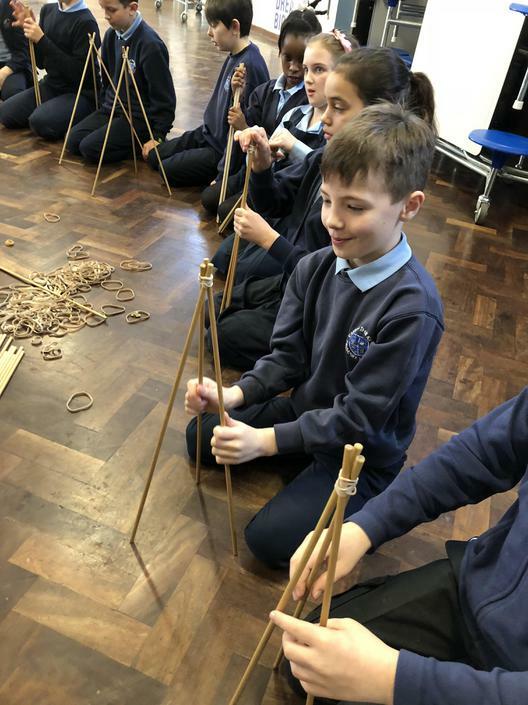 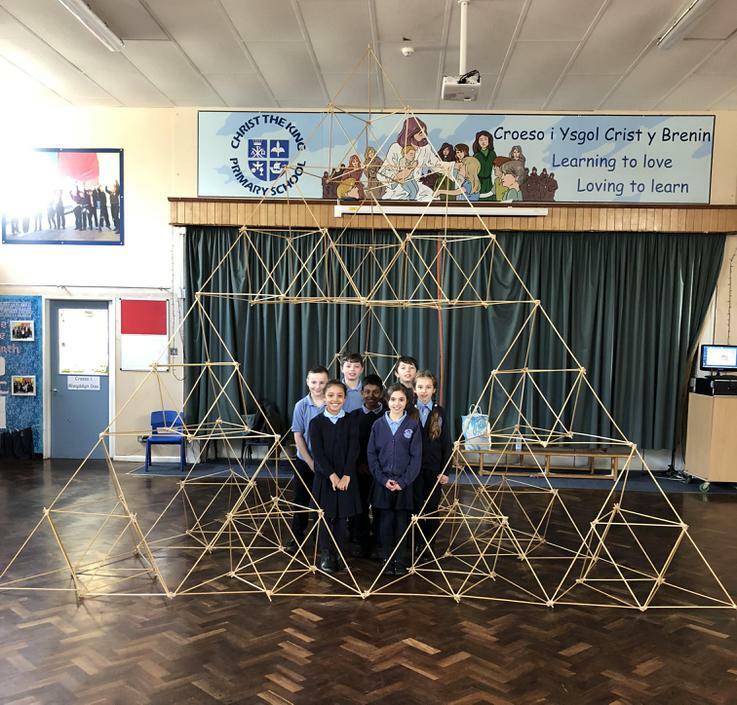 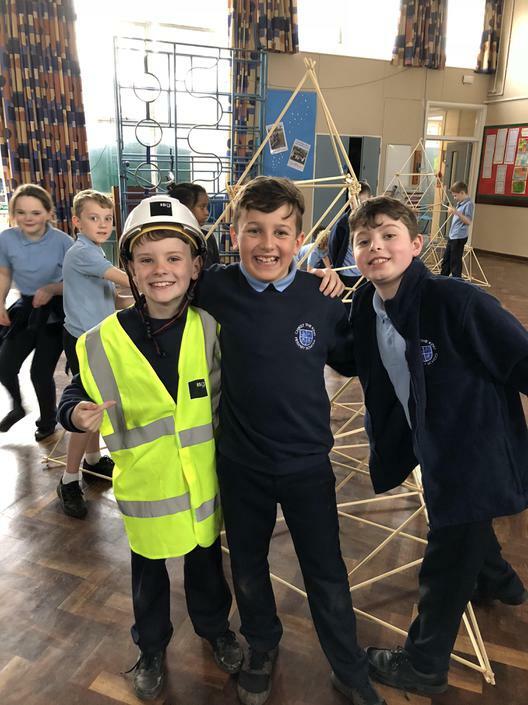 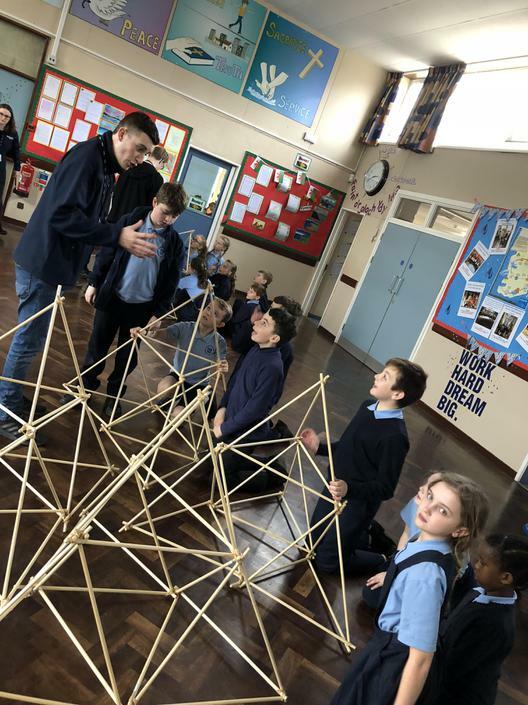 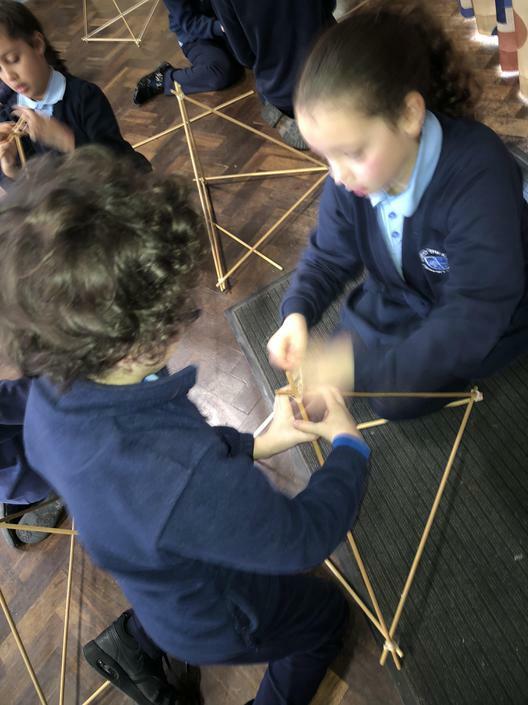 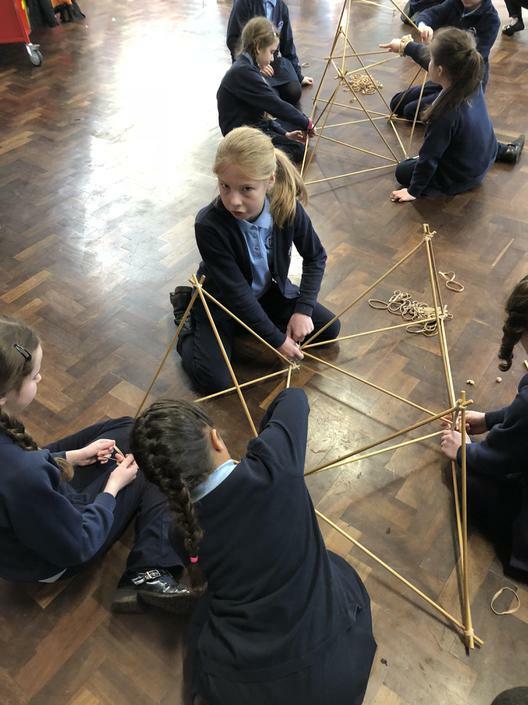 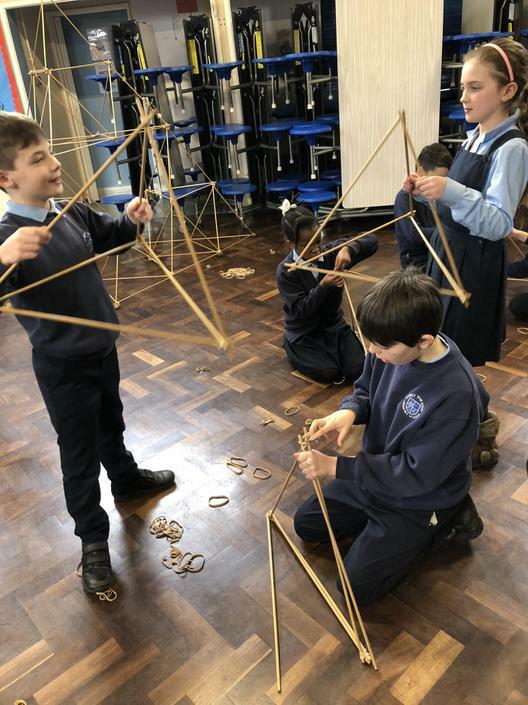 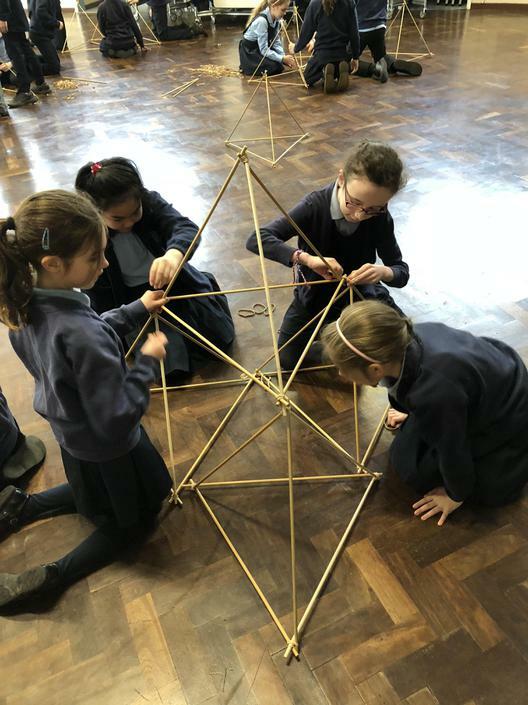 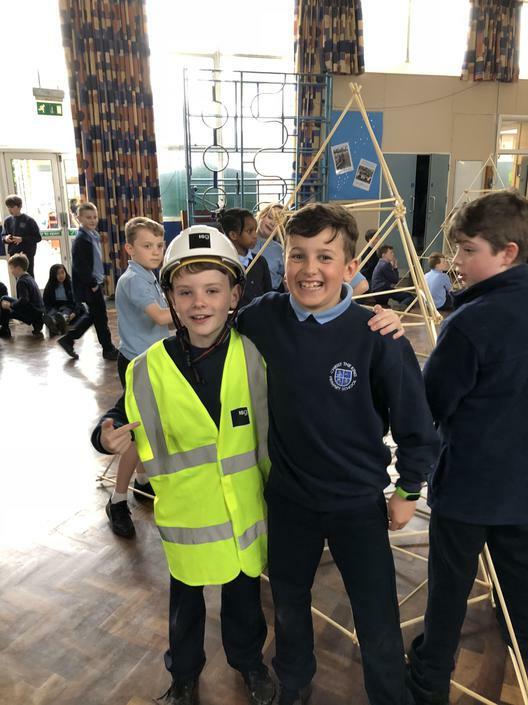 British Science Week 2018 Thursday 15th March building tetrahedrons. 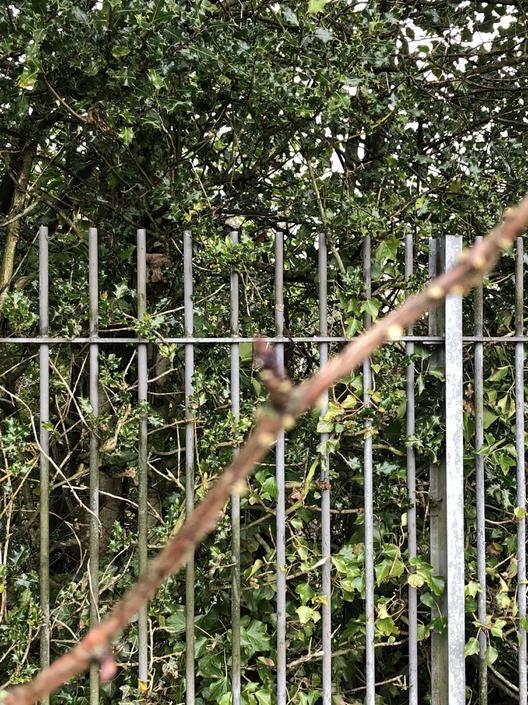 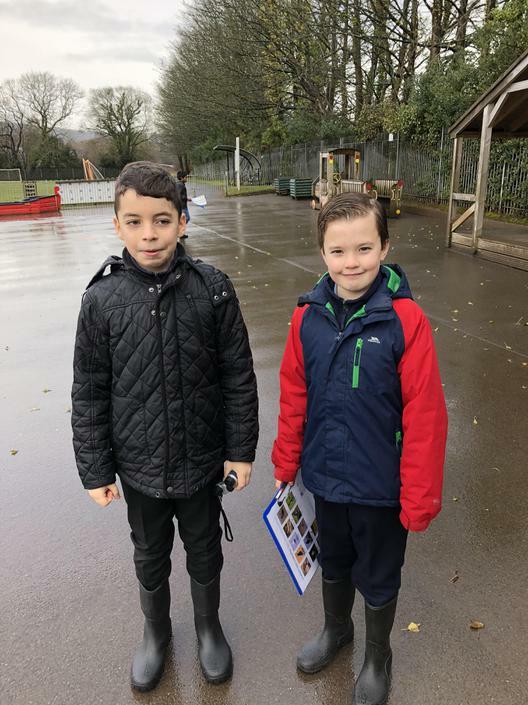 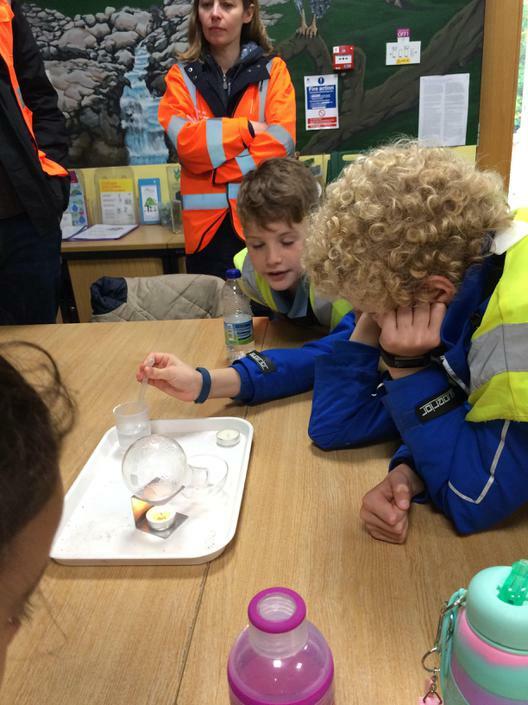 Class Trip to Cog Moors. 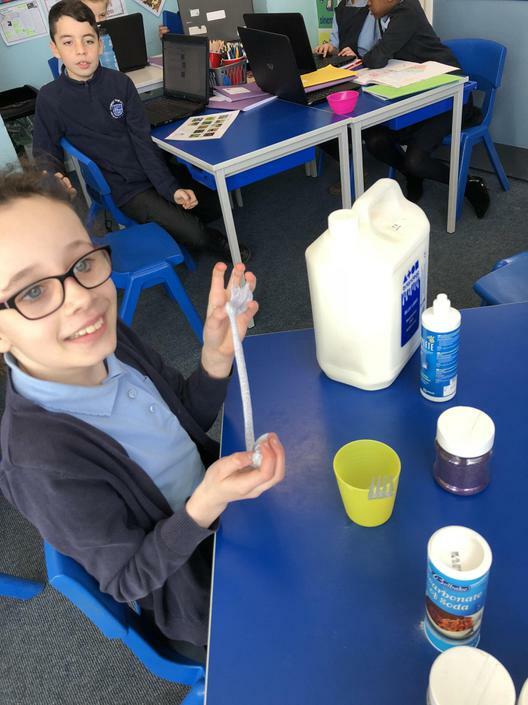 Mr and Mrs Jones using water getting ready for the day. 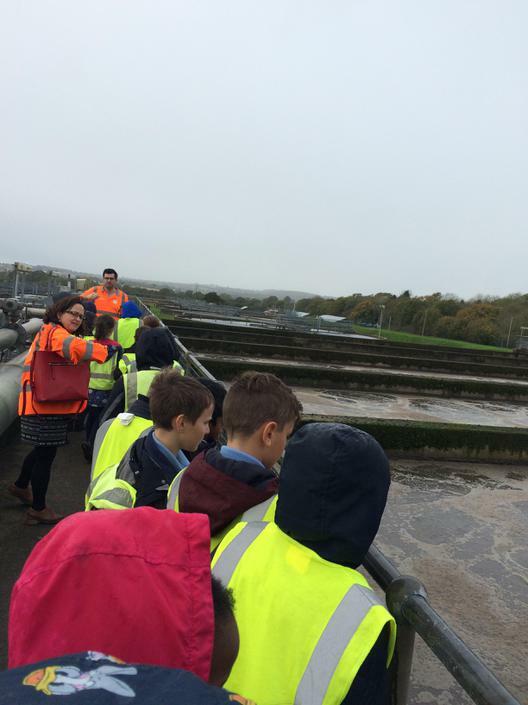 What can we flush? 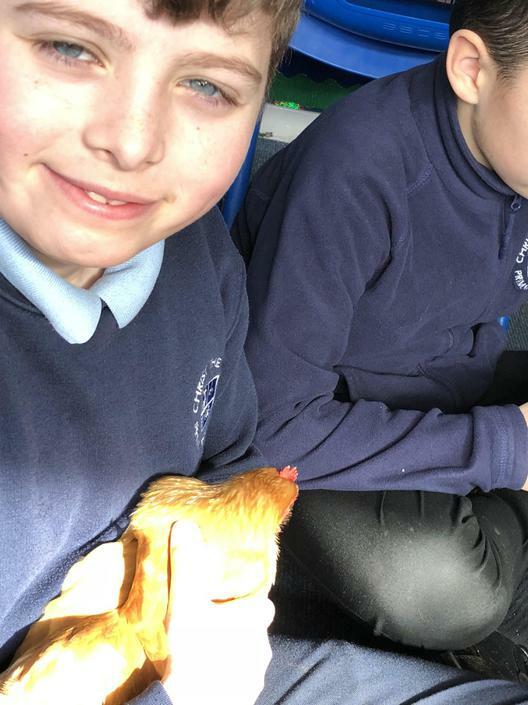 Only the three P's! 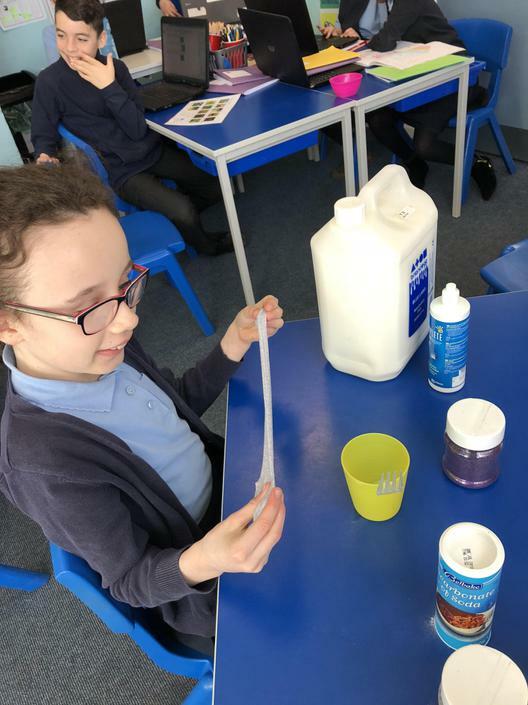 Toilet paper, tissue, blue paper towels and wet wipes. 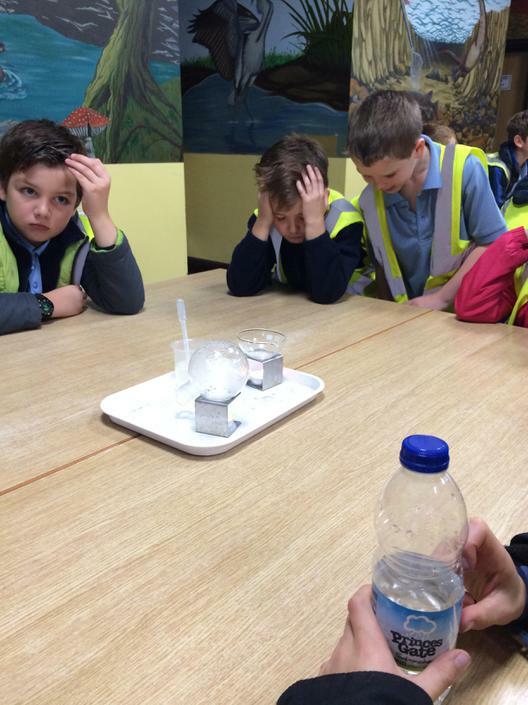 Which will stop the flow? 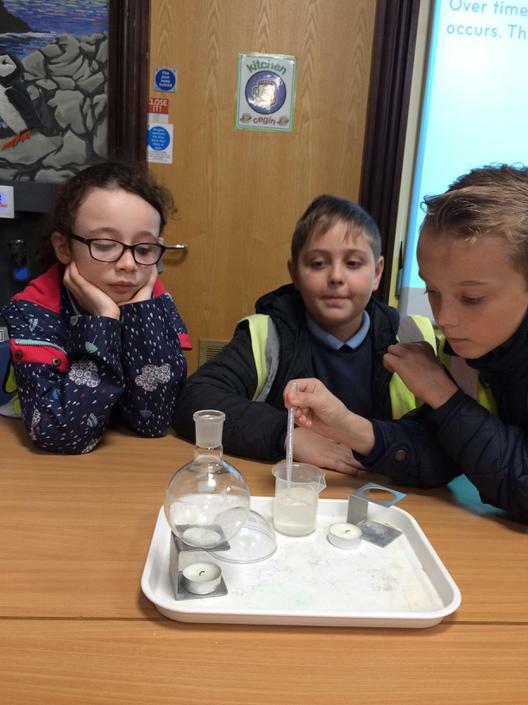 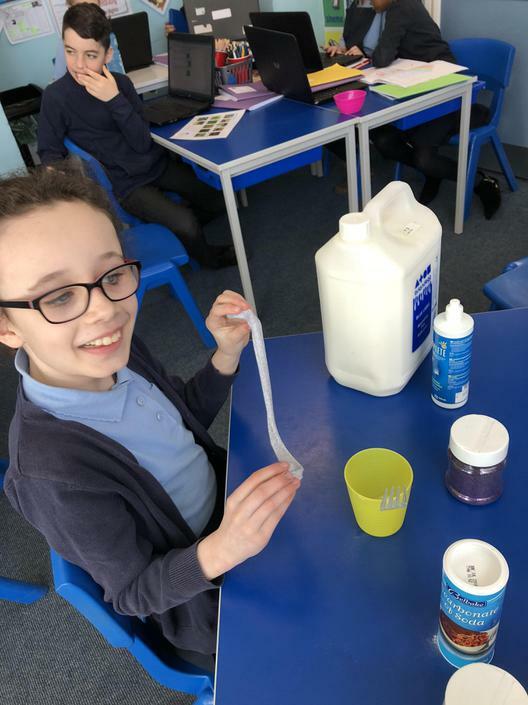 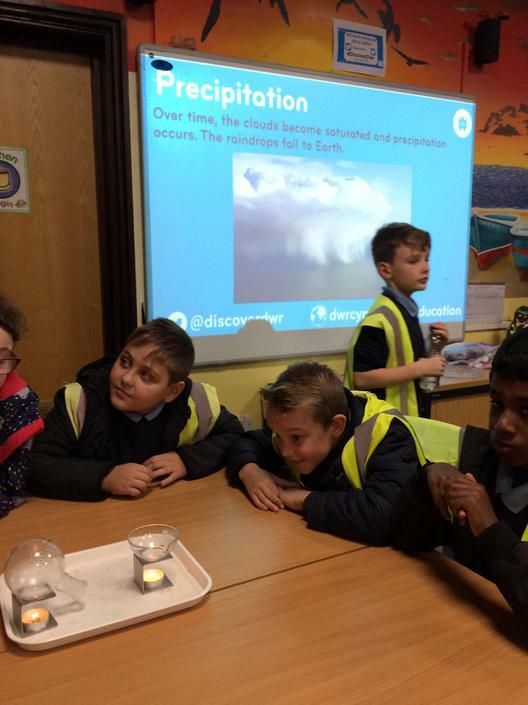 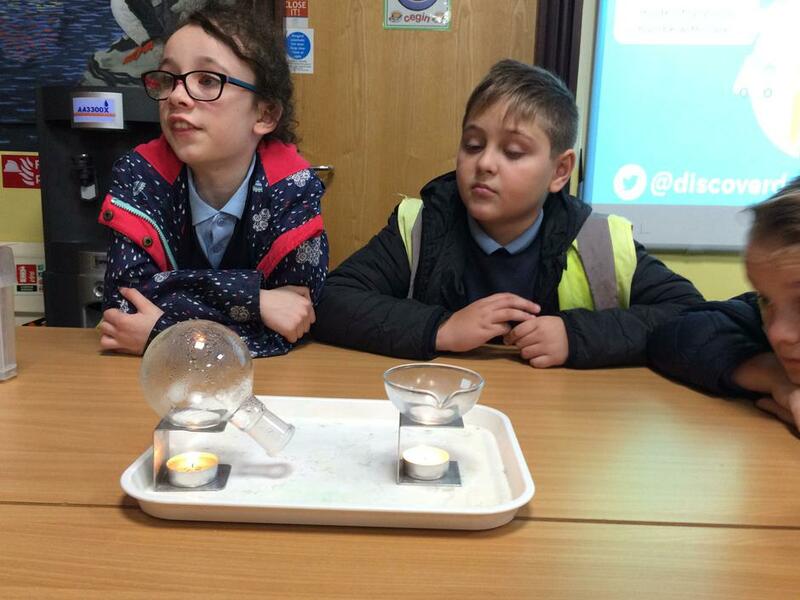 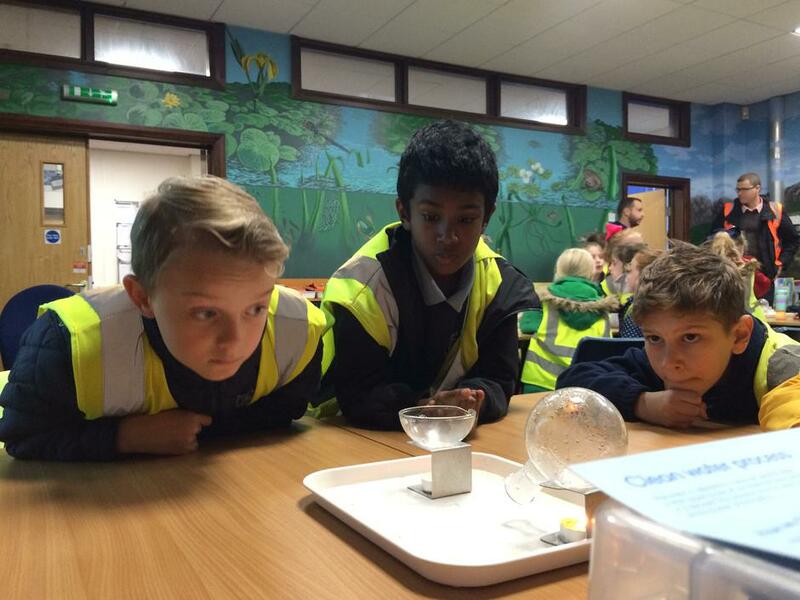 Science experiments - Can you make the water evaporate? 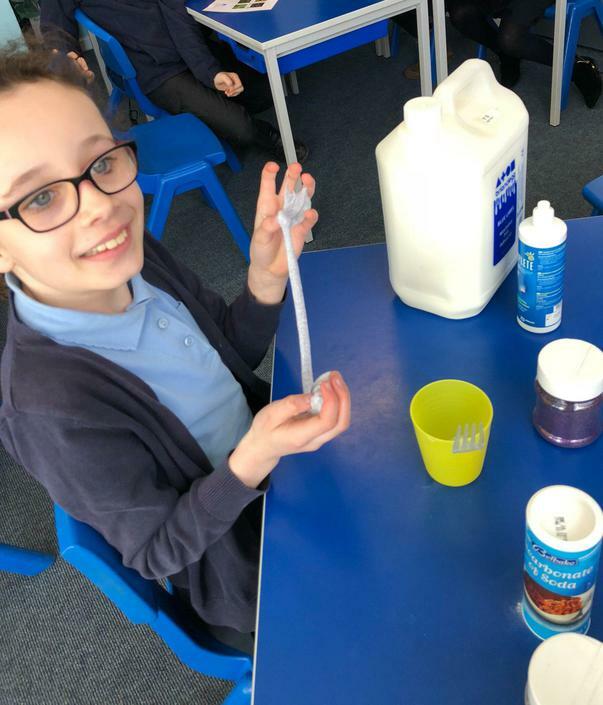 Can you remove salt from sea water? 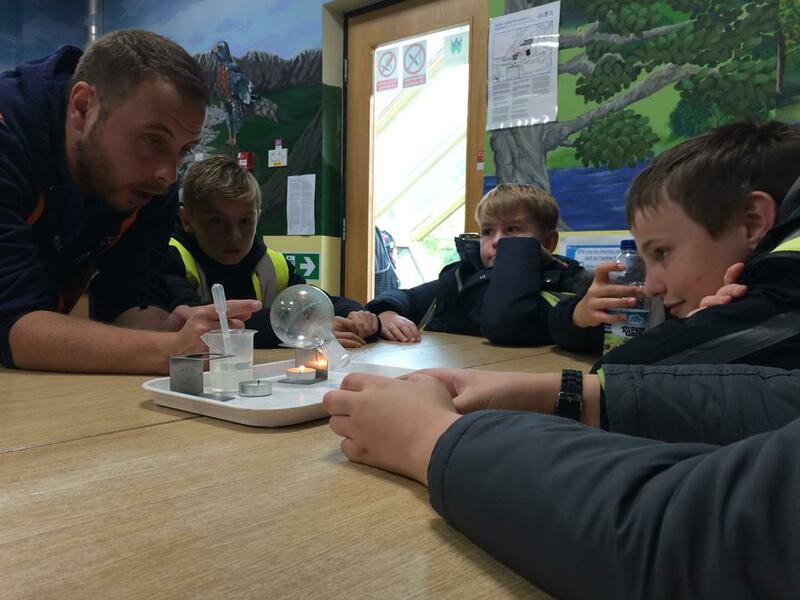 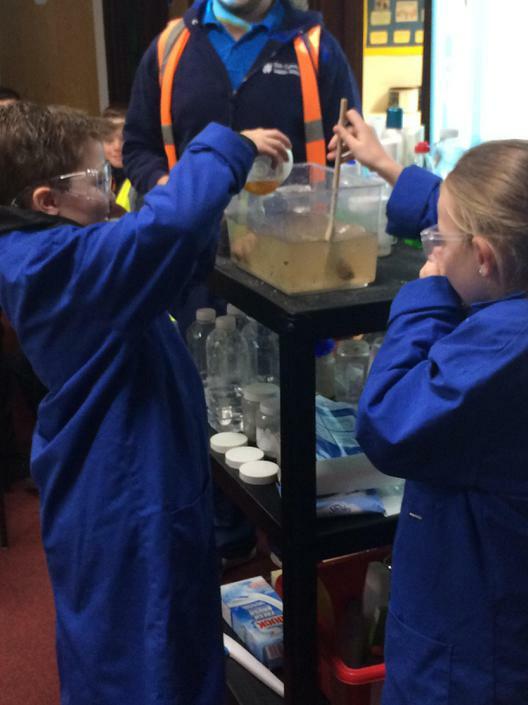 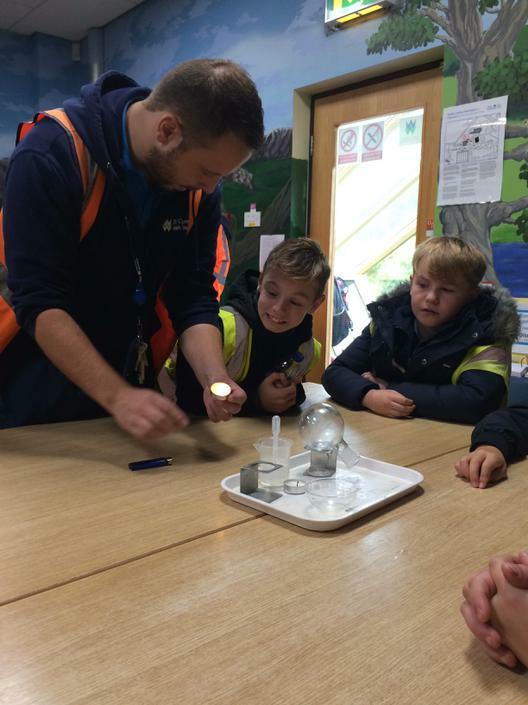 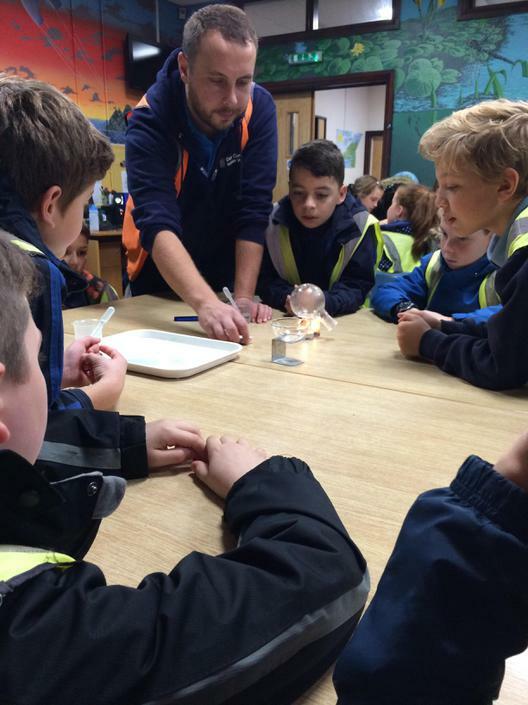 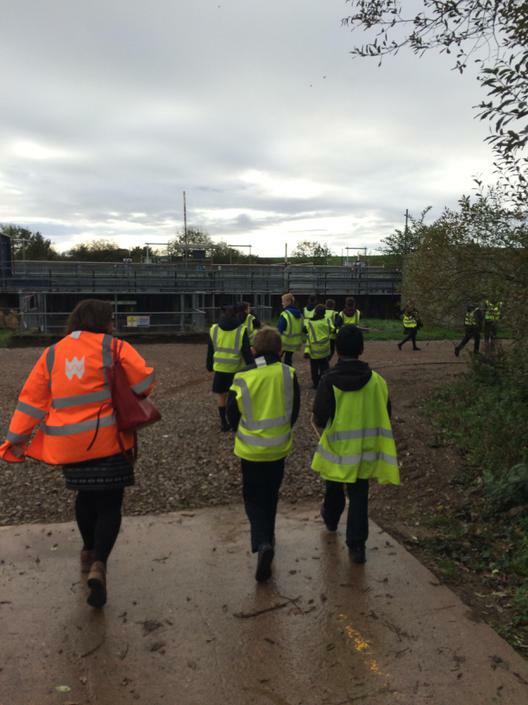 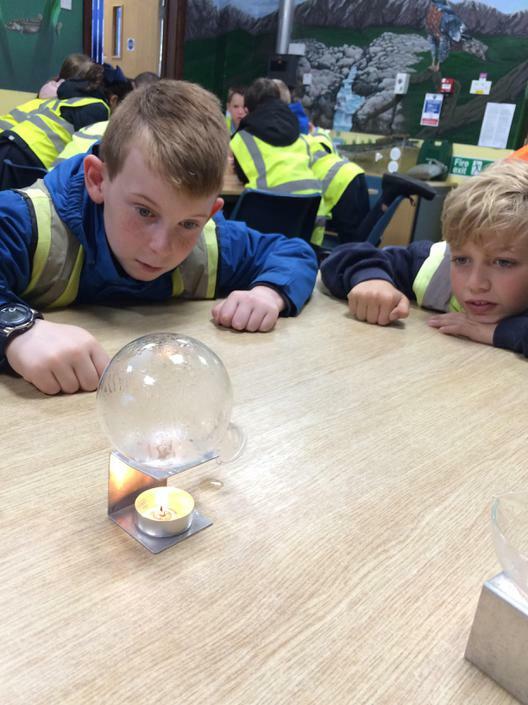 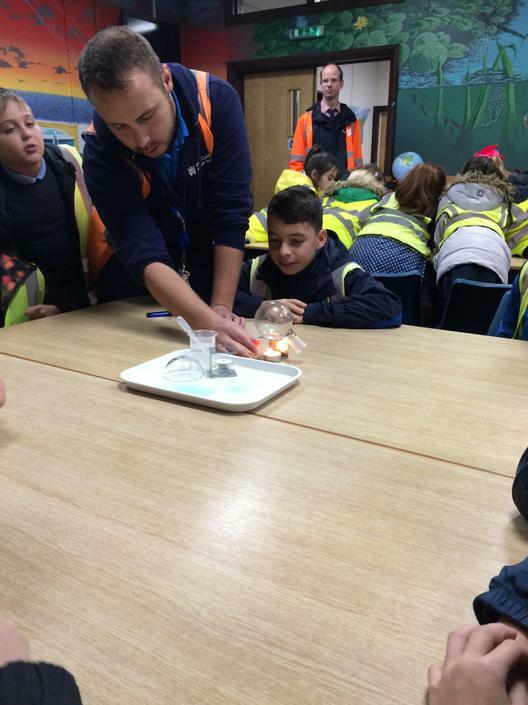 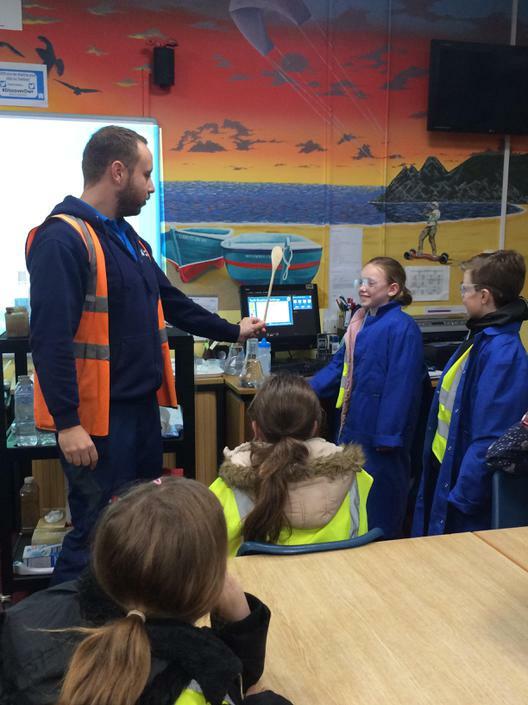 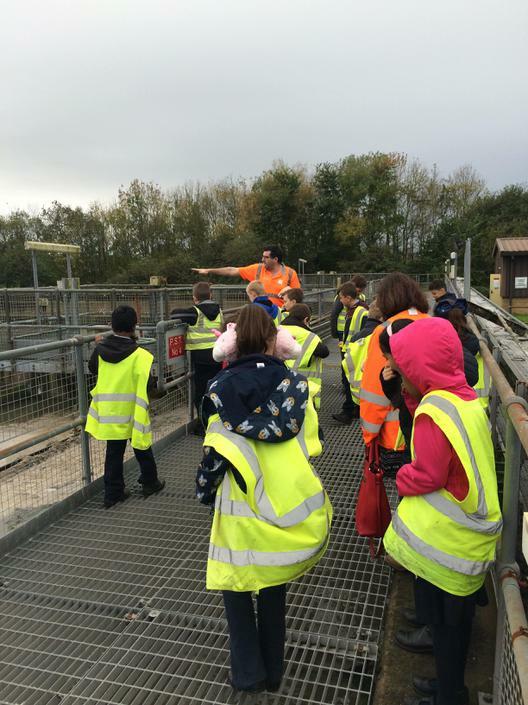 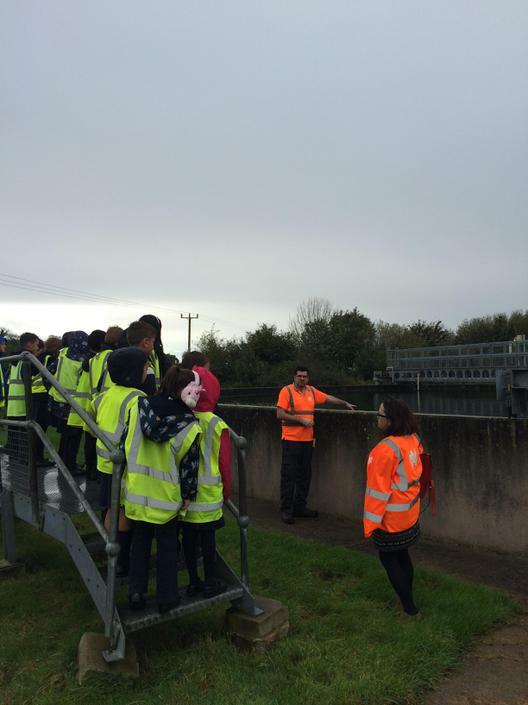 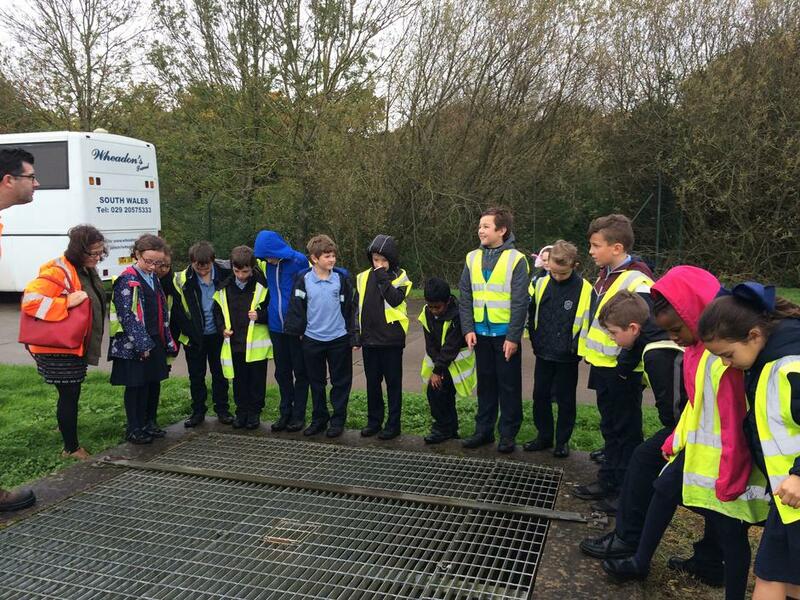 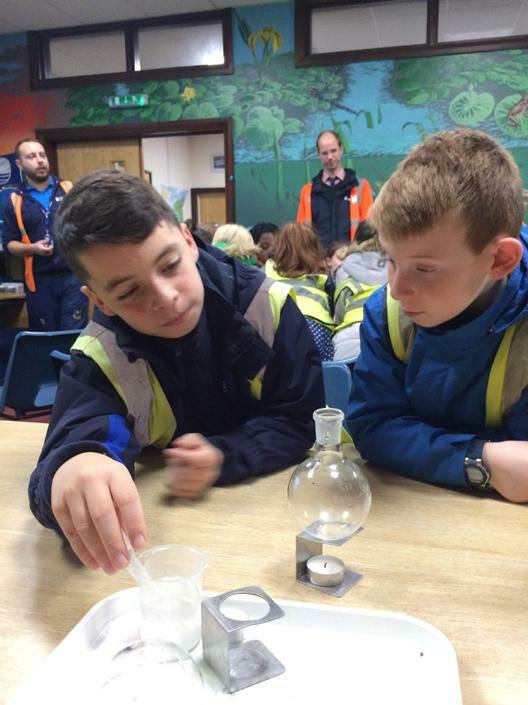 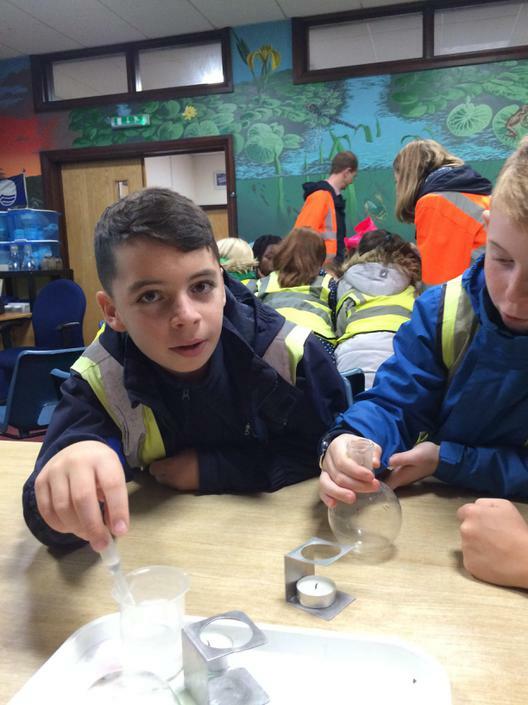 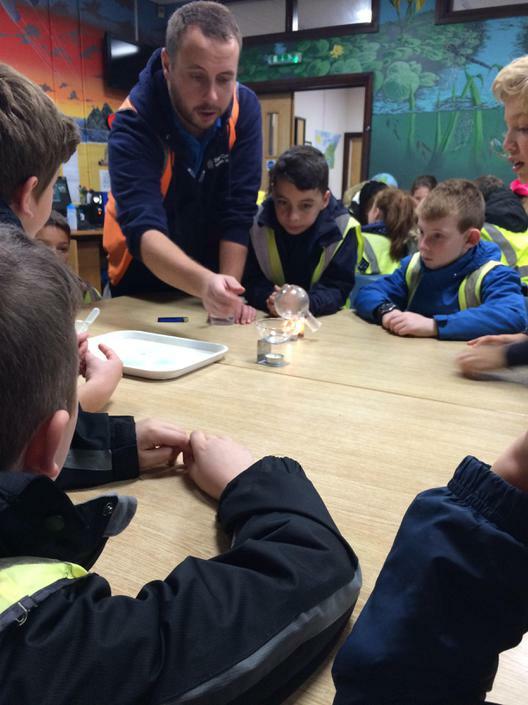 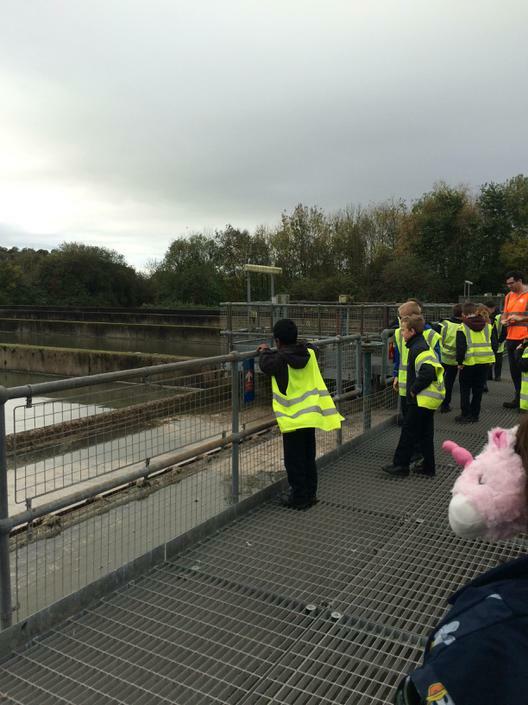 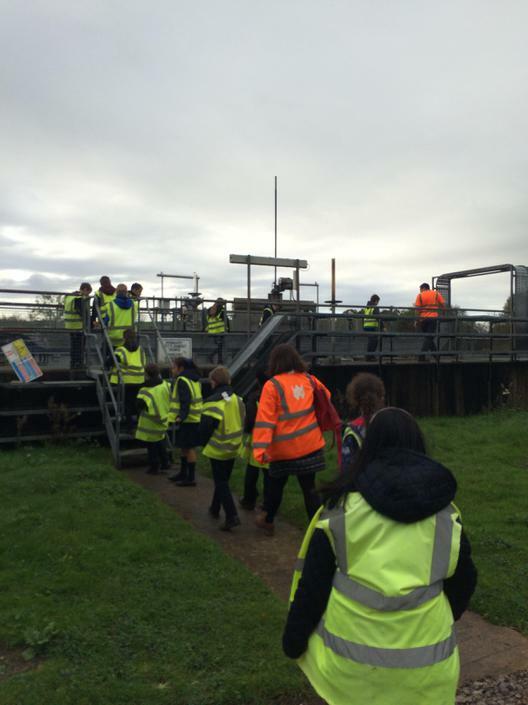 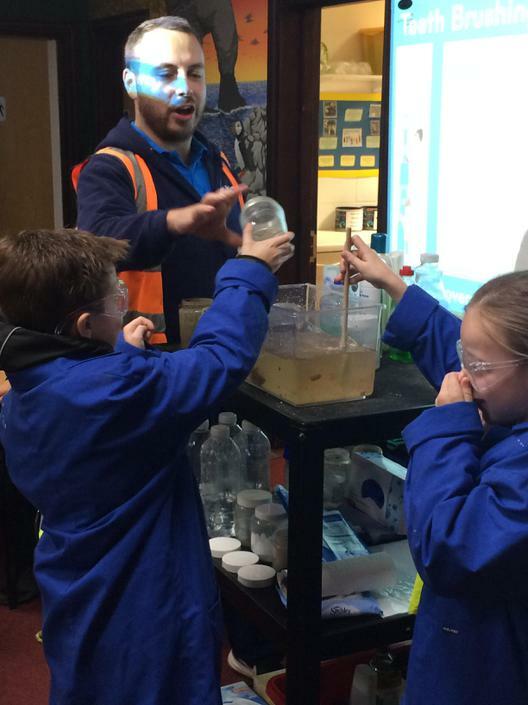 Year 5 had an amazing time at the Water Treatment site at Cog Moors. 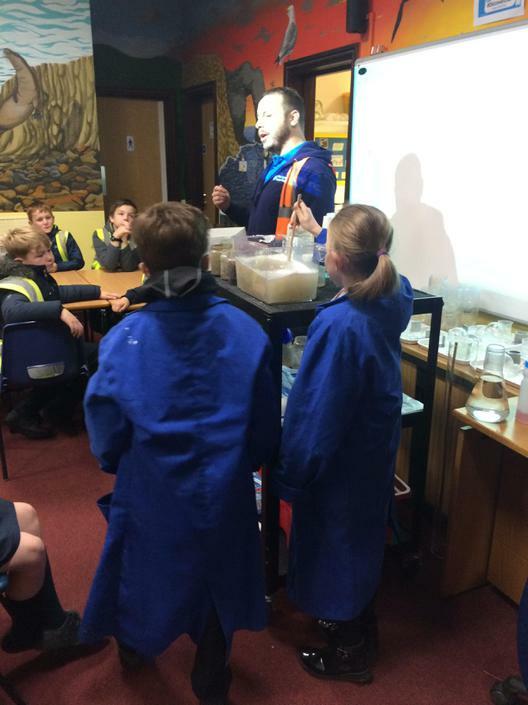 An enjoyable, educational and very smelly day!